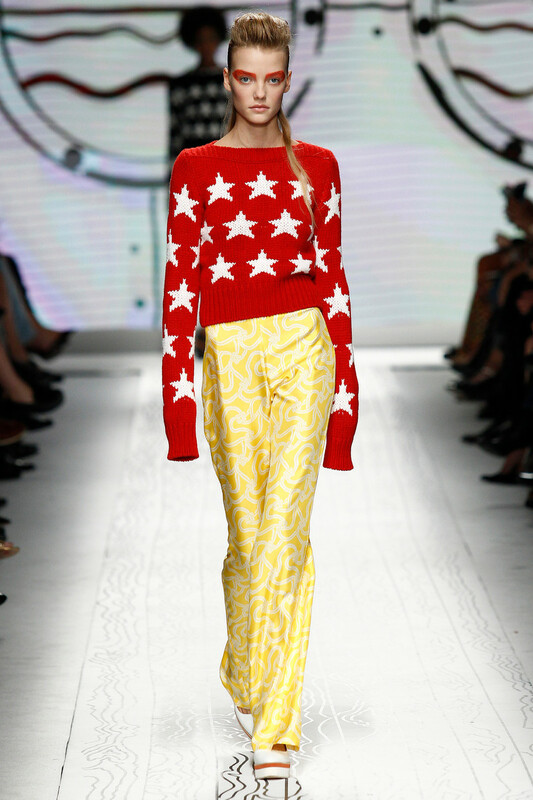 Were we watching a seventies show? 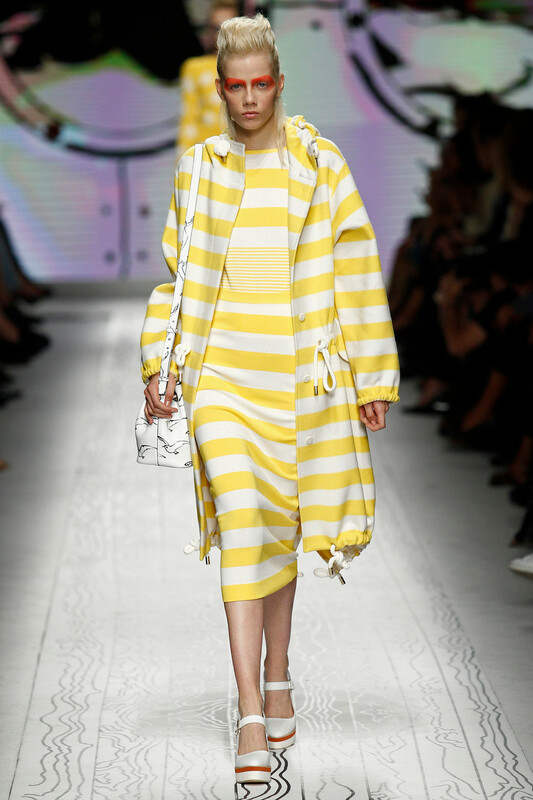 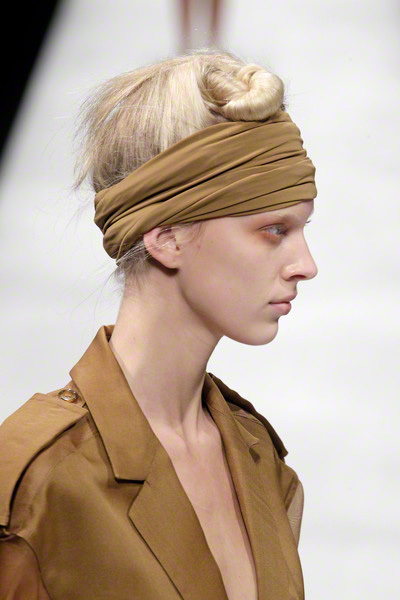 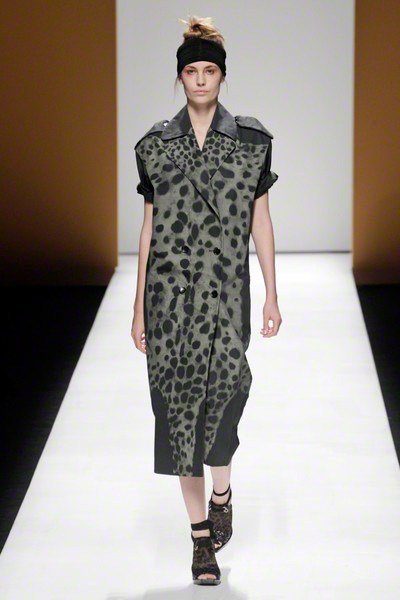 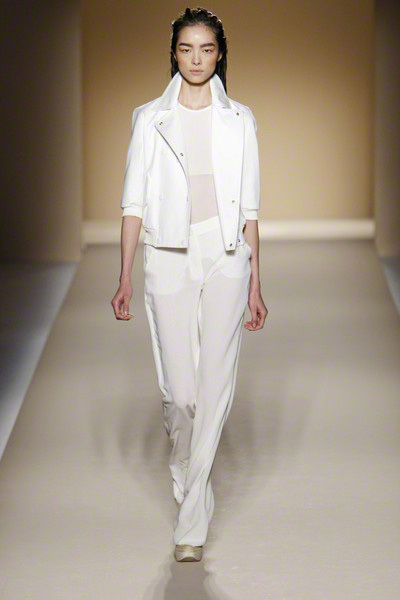 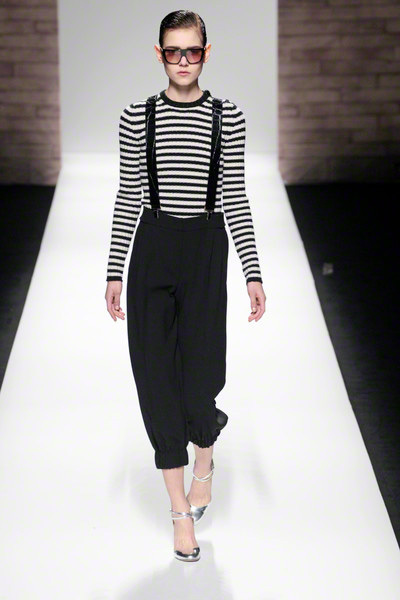 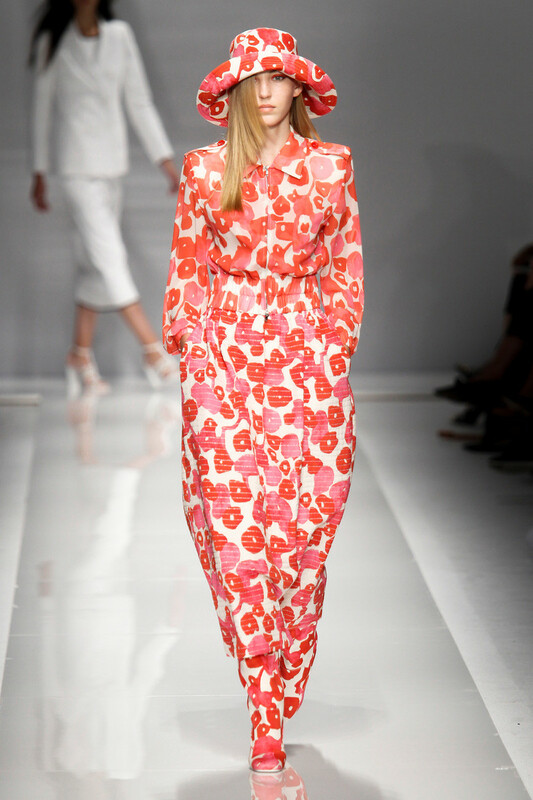 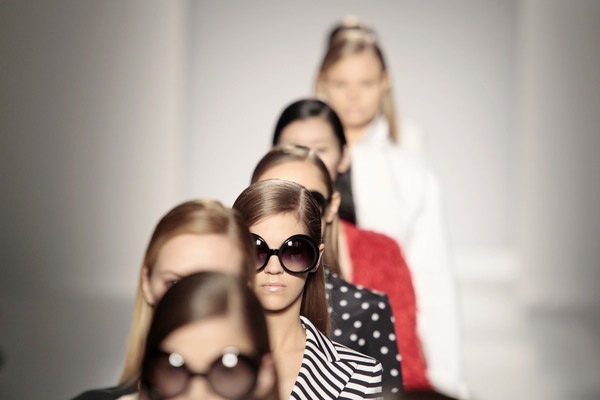 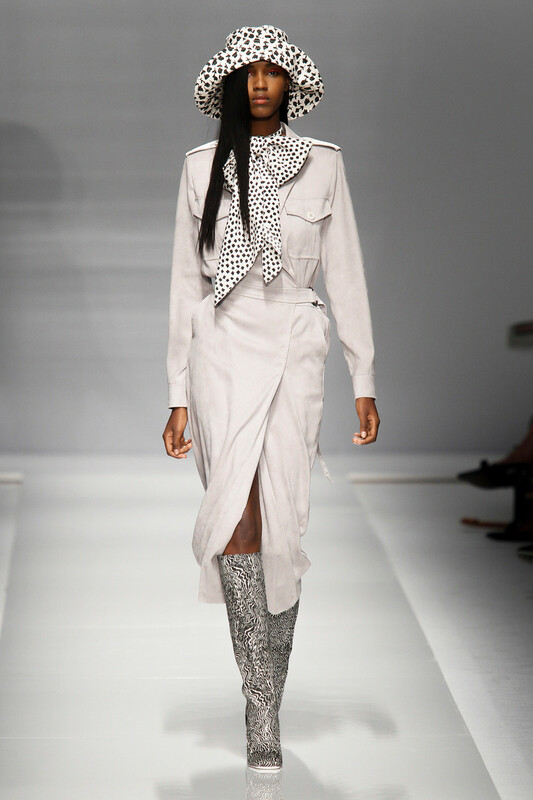 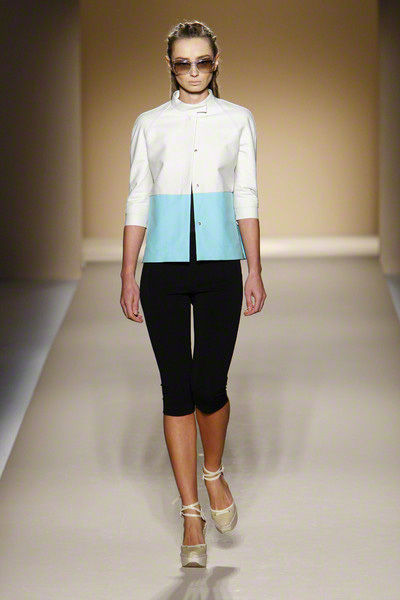 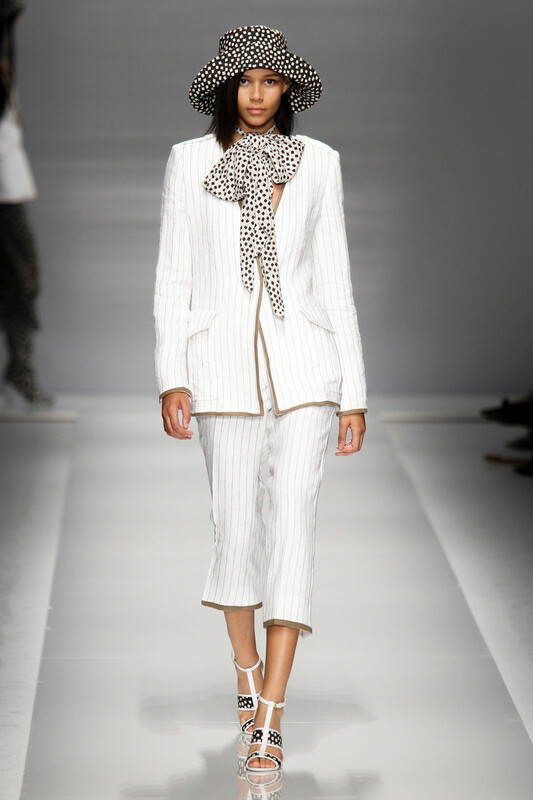 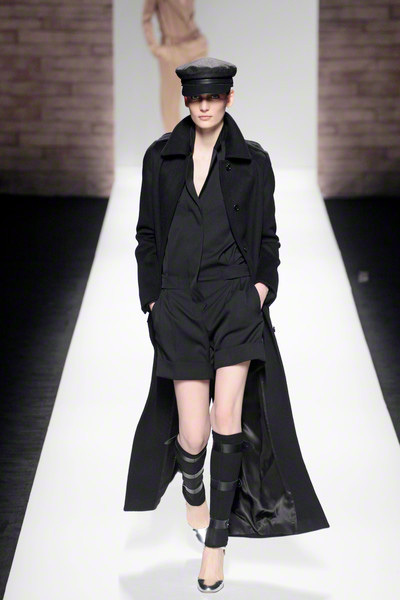 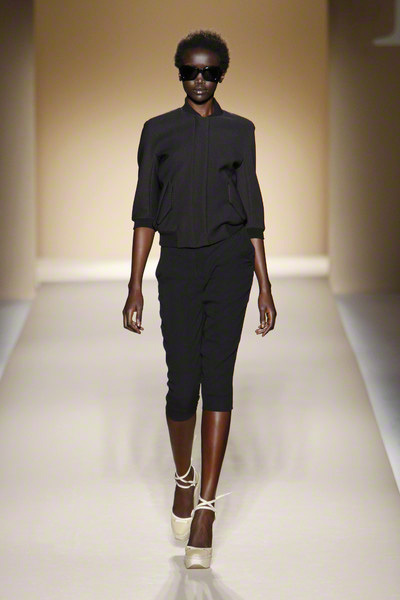 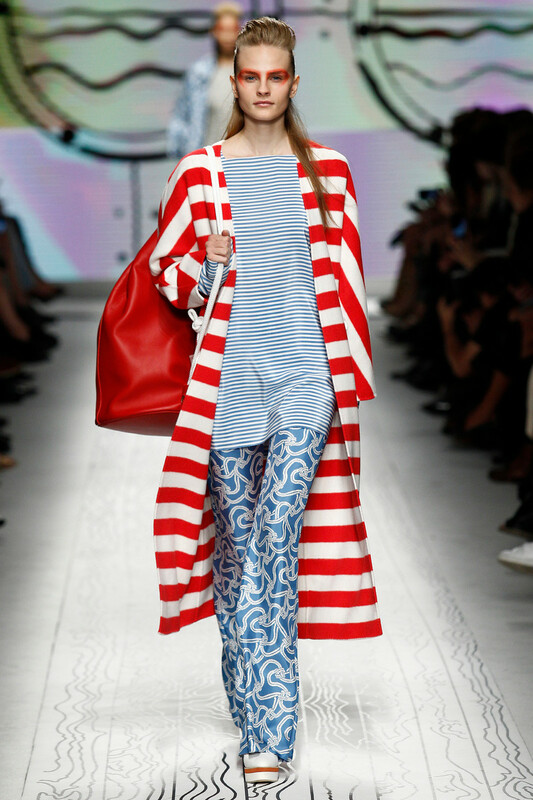 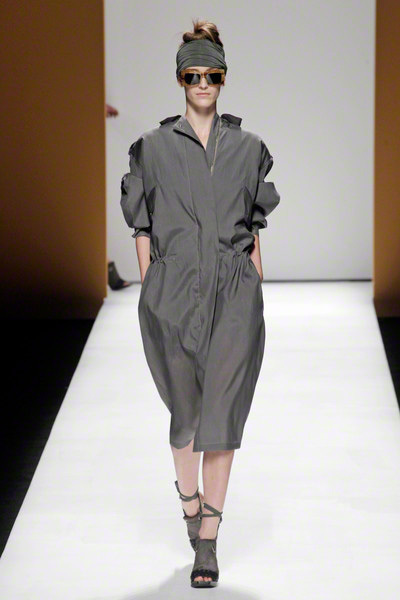 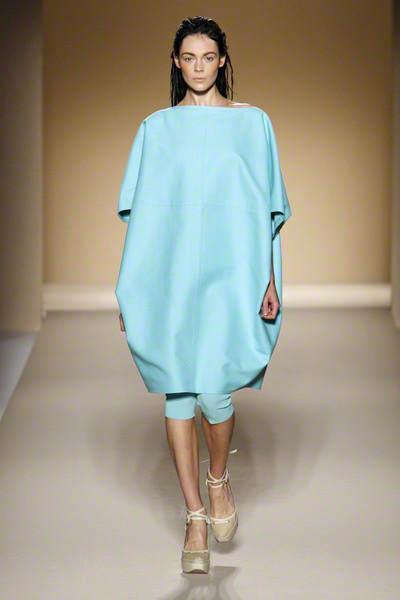 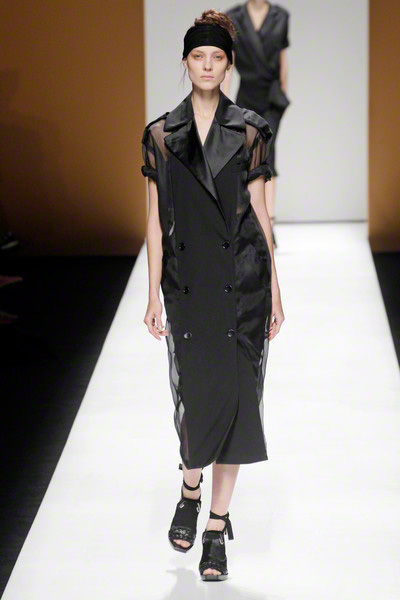 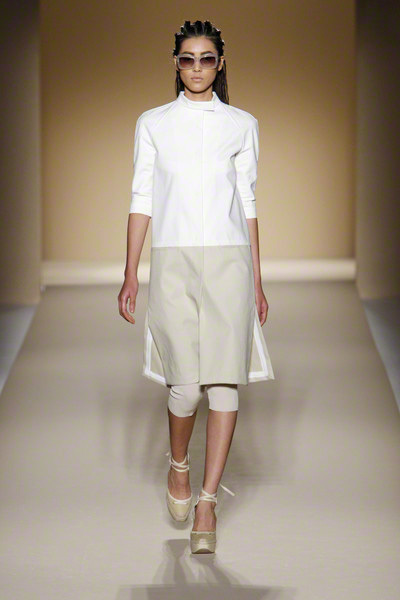 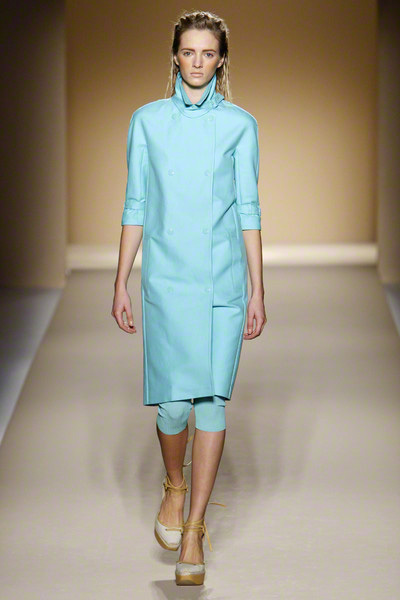 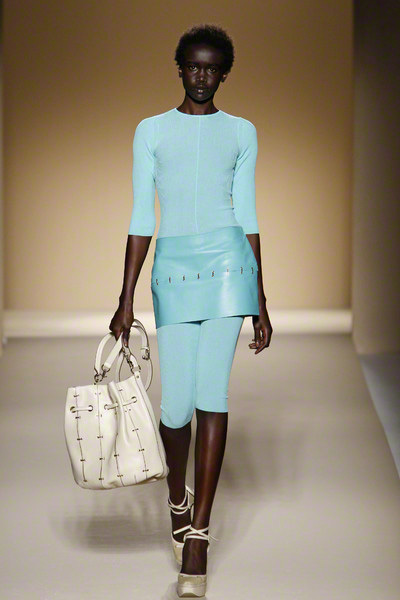 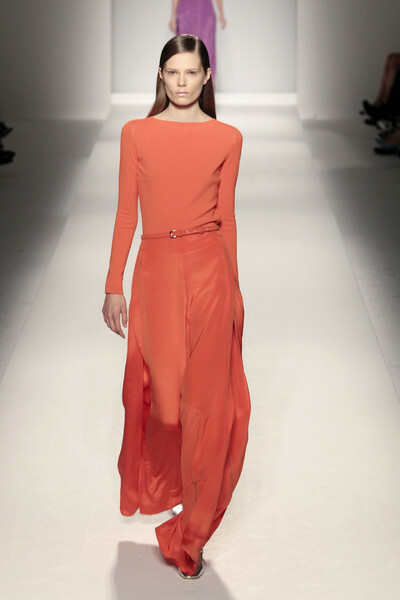 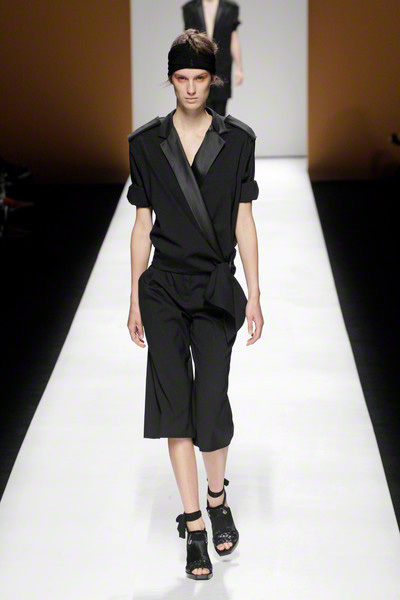 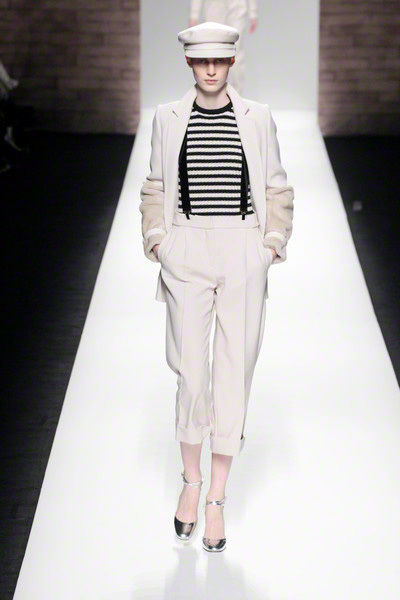 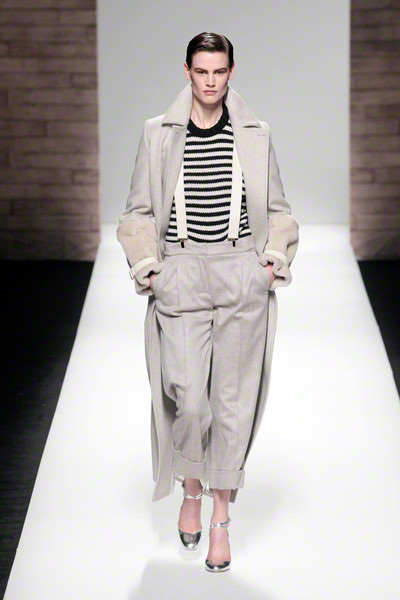 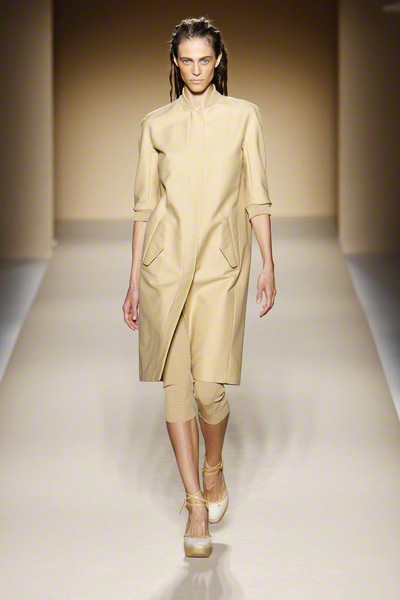 Due to, among other things, the choice of hats Max Mara didn’t really breathe S/S2015 at first. 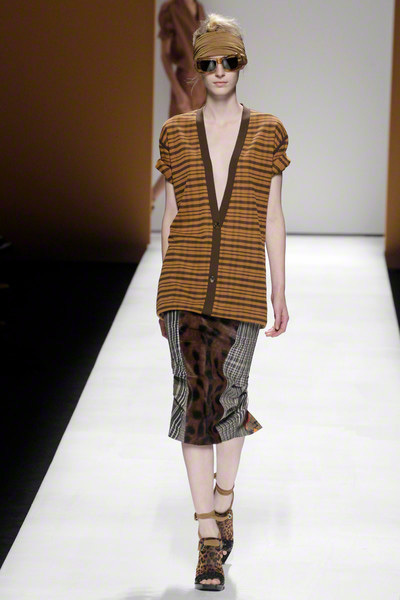 Yet after a closer look we could see the modernity of the clothing. 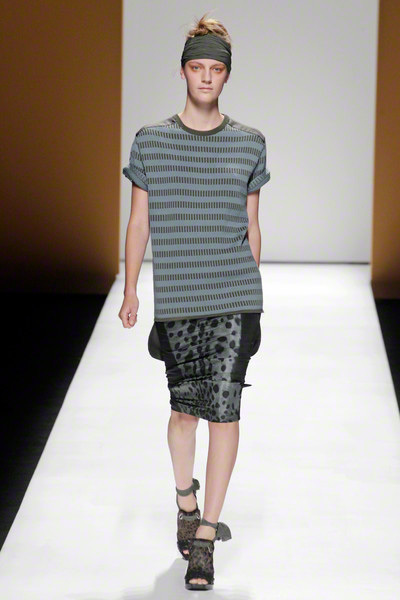 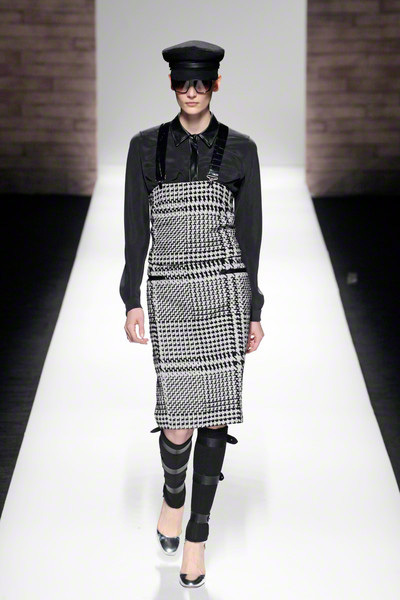 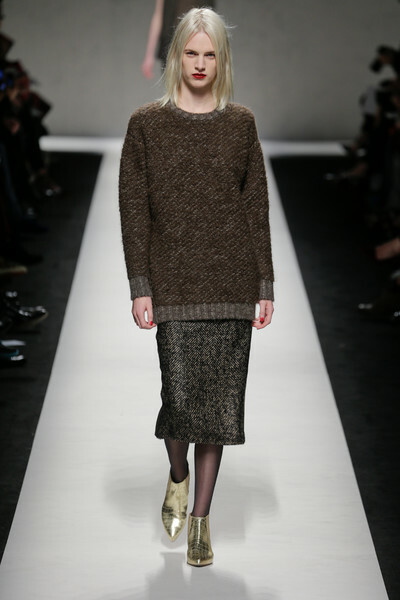 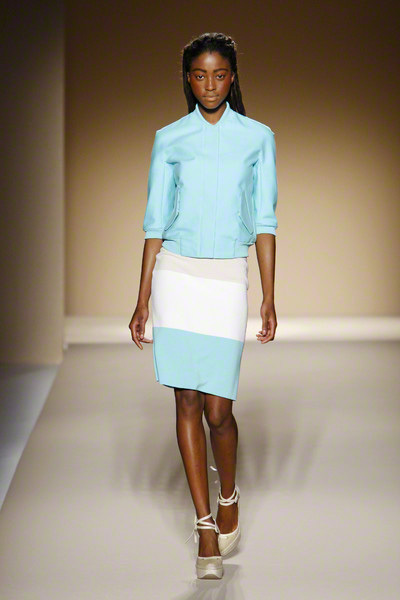 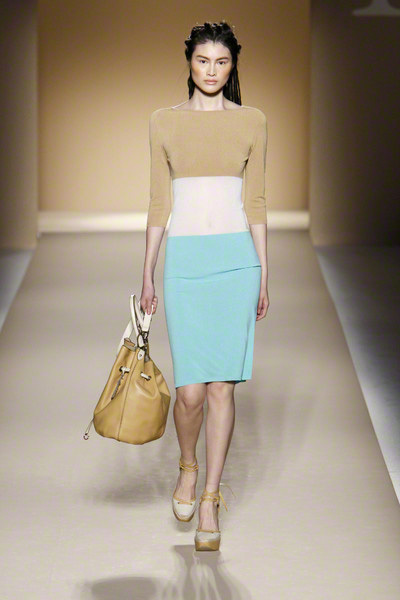 Most looks seemed a combination of a mid calf length pencil skirt and one or mops layered tops. 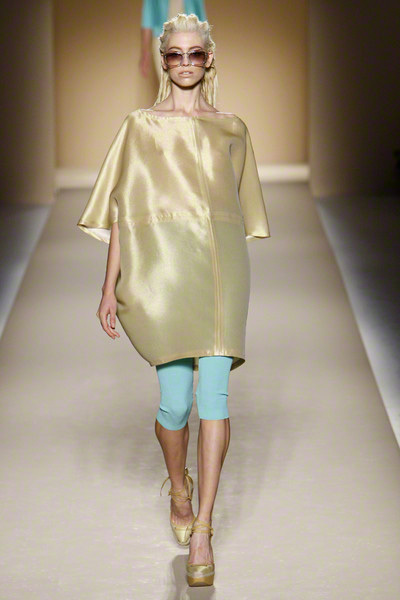 Yet with all of them being fully printed it was hard to tell where one piece of clothing ended and the other began. 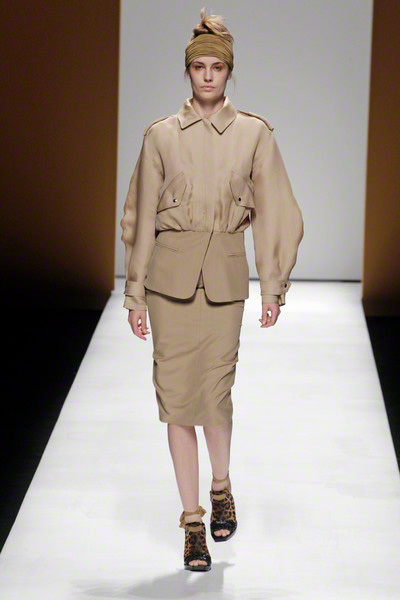 Let alone distinguish a skirt from a pair of culottes. 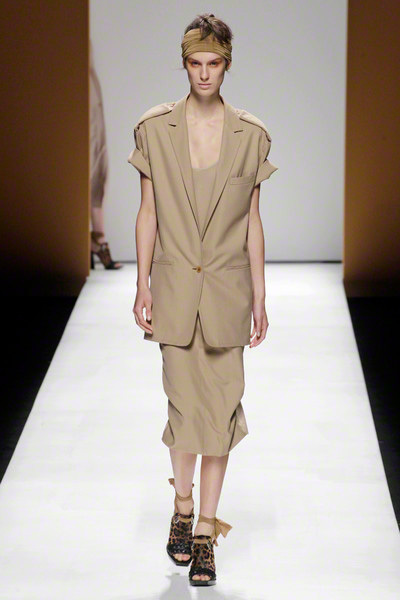 In any case Max Mara focuses on the waist for summer with not only skirts but long, tailored double breasted suit jackets too. 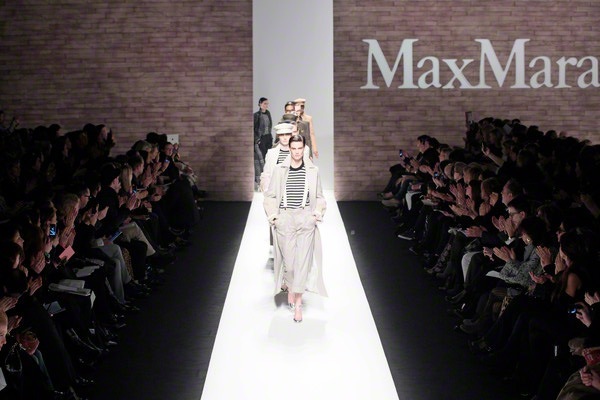 XL cardigans and trenchcoats were worn over sheer tops. 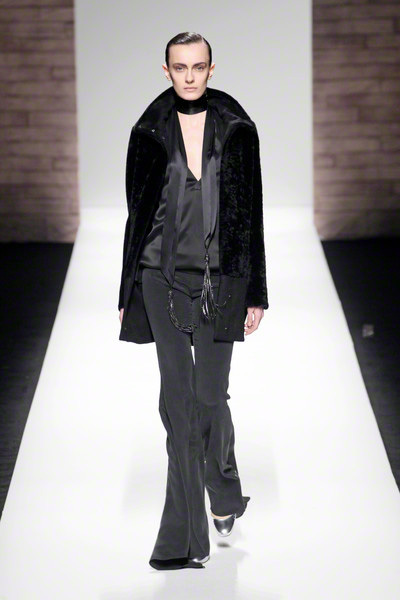 Slouchy belts and silky scarves added some chicness of the collection as those suede boots would work well with just about any 2015 ensemble. 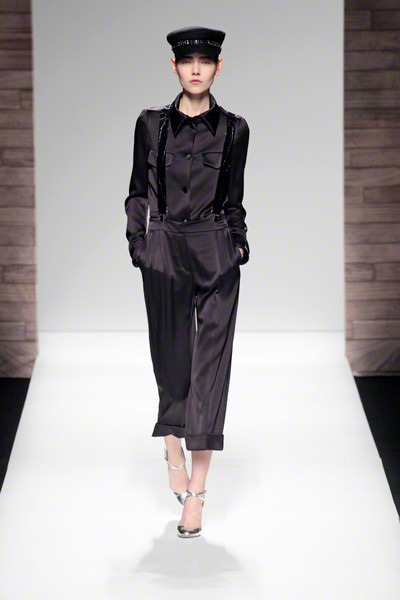 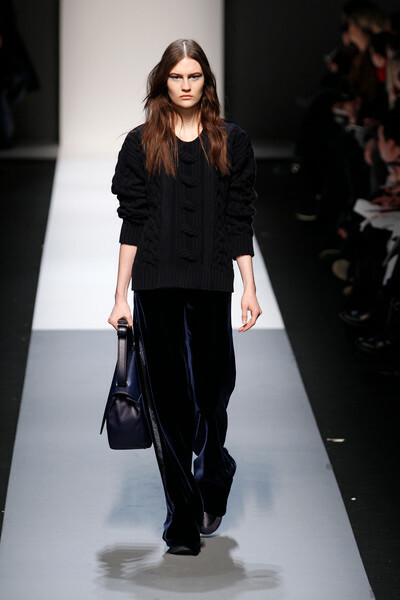 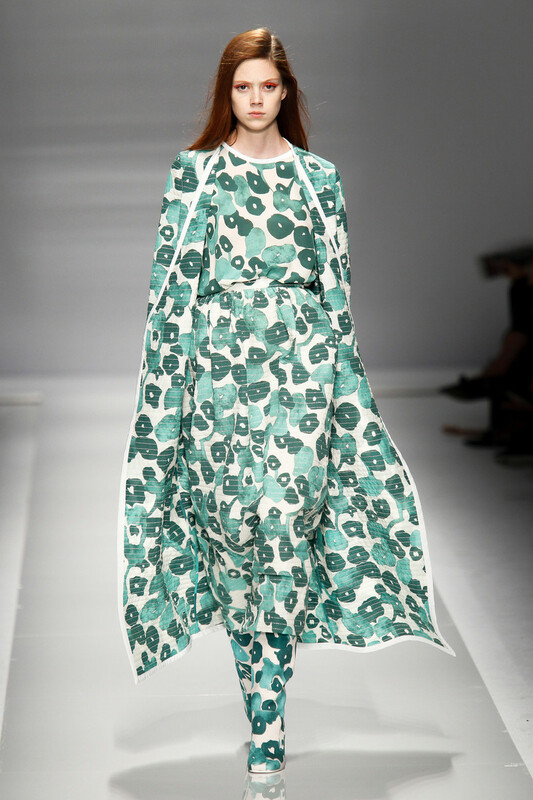 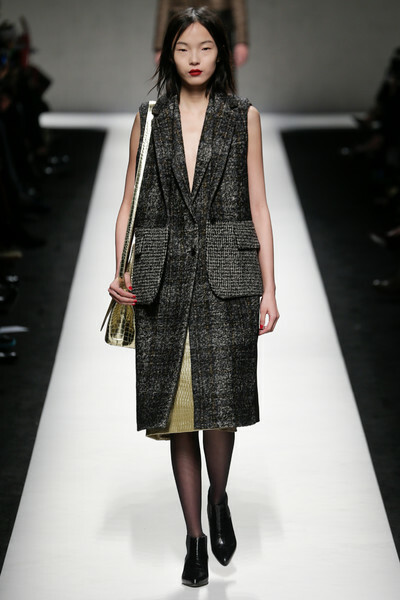 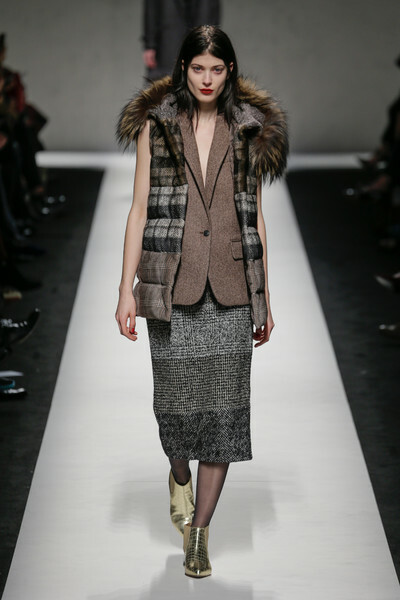 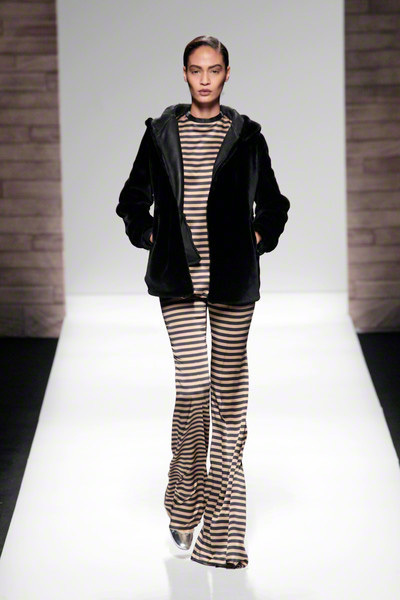 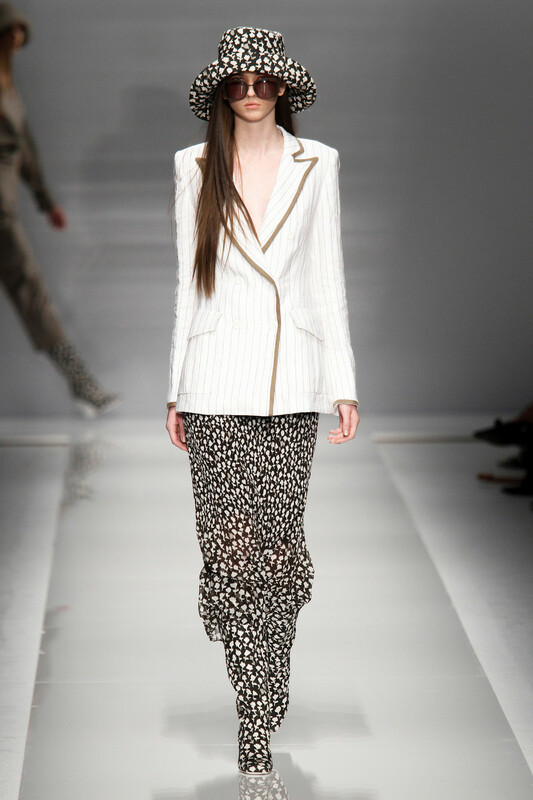 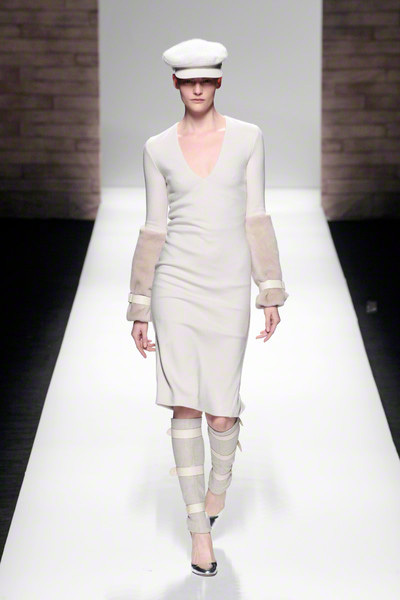 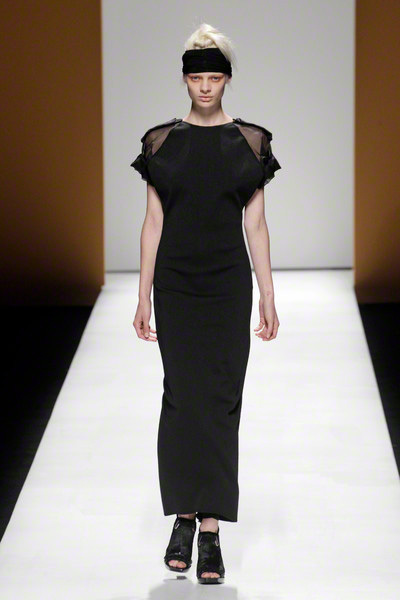 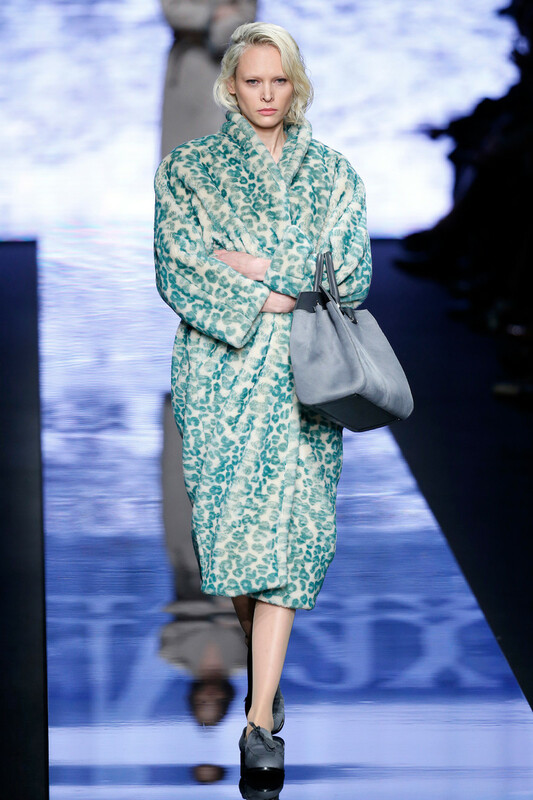 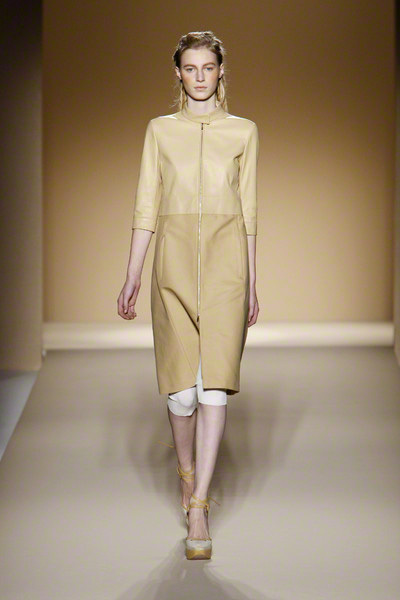 Inspired by Scotland Max Mara came up with a luxurious collection this week. 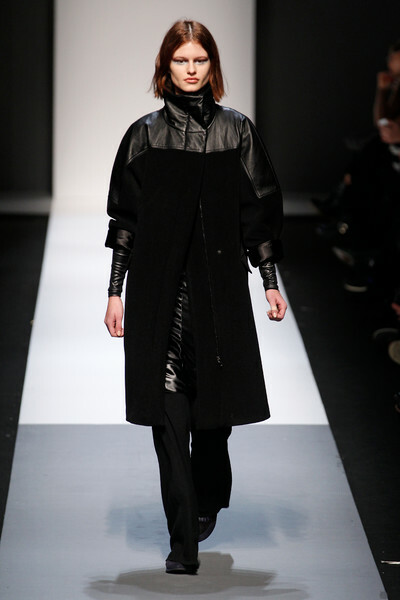 Full of rich materials with lots of texture the brand focused on it’s strongest asset; outerwear. 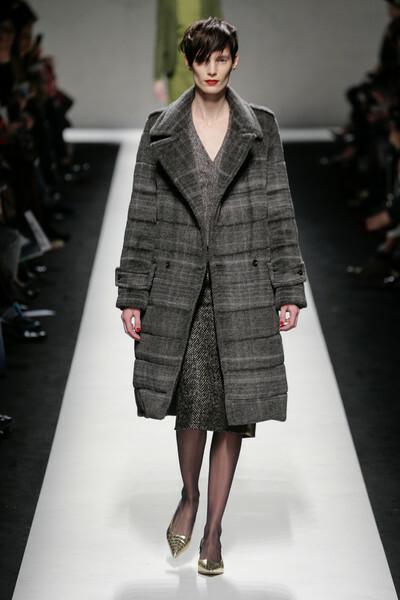 With a wide range of classy coats (from woolen and tweed to quilted and leather) to choose from, the Max Mara women won’t be cold next winter. 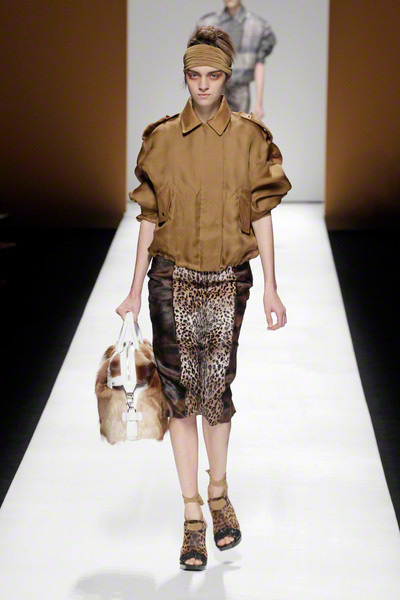 They were worn with pencil skirts (over the knee, mid calf), paired with sleeveless woolen tops, designs with PVC details and crocodile printed gold creations (even shoes!). 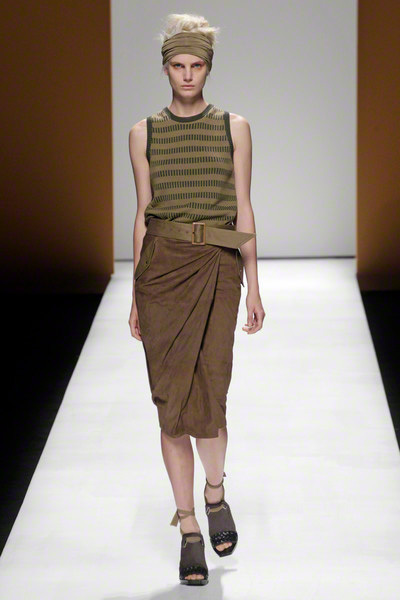 Not tucked in, but worn to their full length, far below the waist. 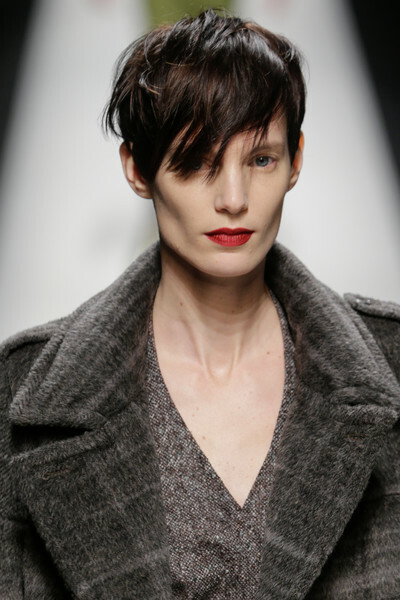 The designs may have been classic; the careless appeal of the models (hair undone, hardly any make-up, yet bright red lips) made them look young and fresh. 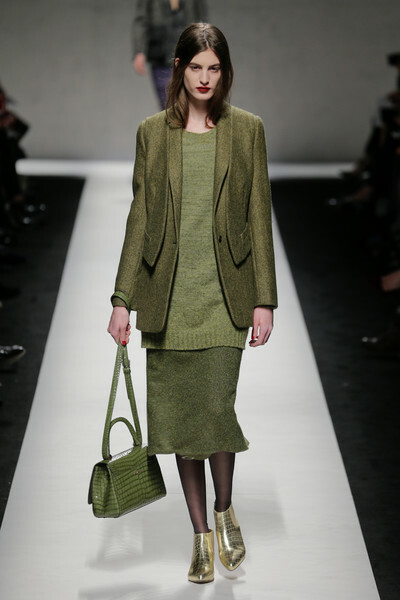 As fresh as the collection’s lichen green, which already has us in deep thoughts figuring out with what tone to match it. 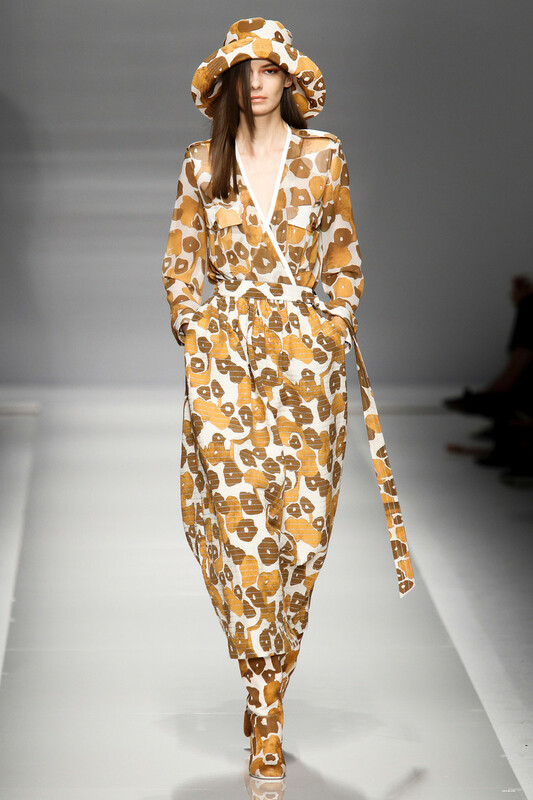 Roomy, bathrobelike toppers in thick fabrics were the key-items of Max Mara’s collection, along with loose pants that fell over brown-and-mustard sneakers. 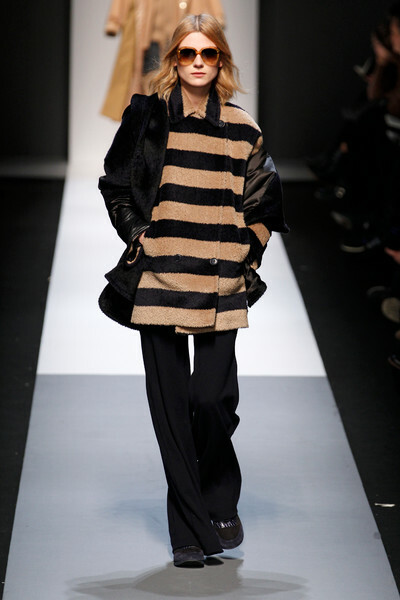 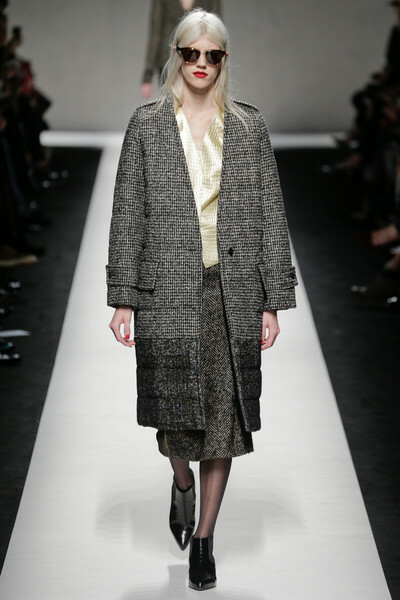 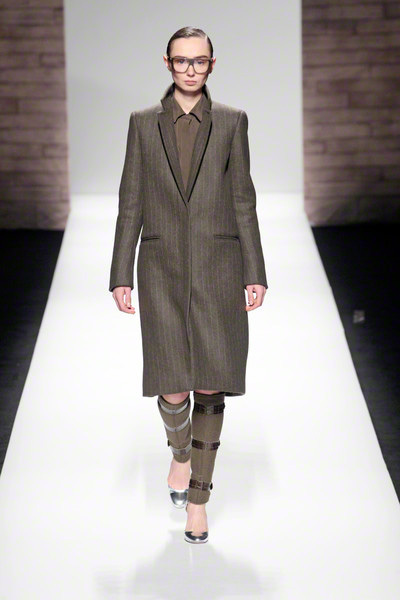 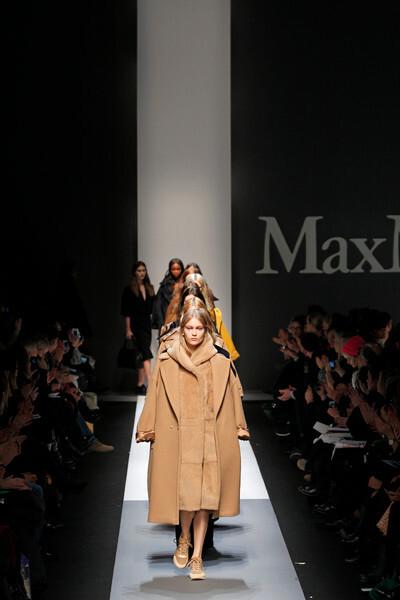 The Max Mara design team took a little inspiration from Bauhaus and stuck to a basic palette of camel, gray, black and dark blue, keeping the focus on shapes, and outerwear. 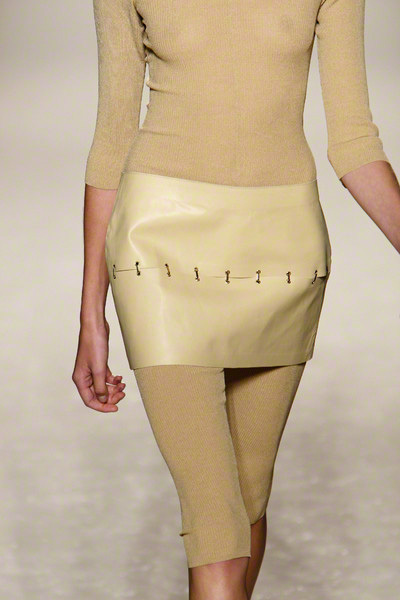 Rounded shoulders were sometimes accentuated with leather patches. 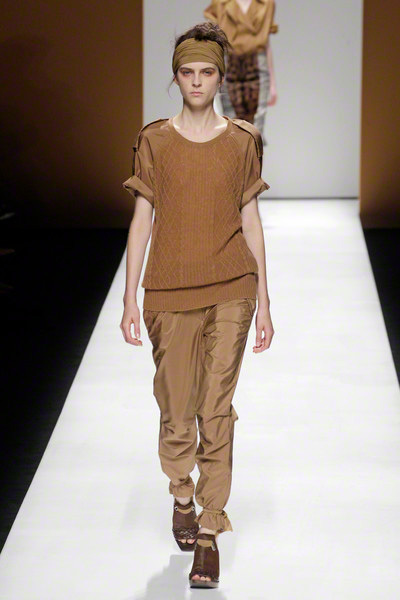 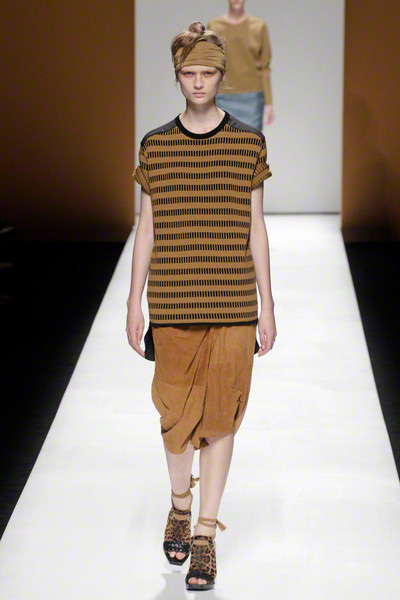 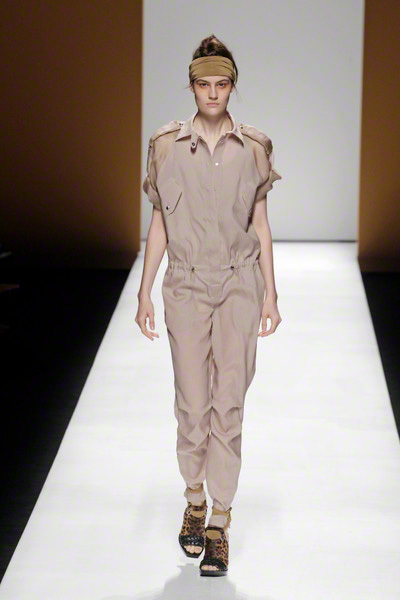 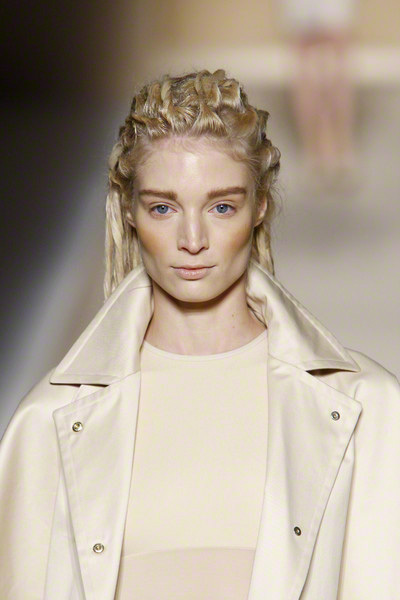 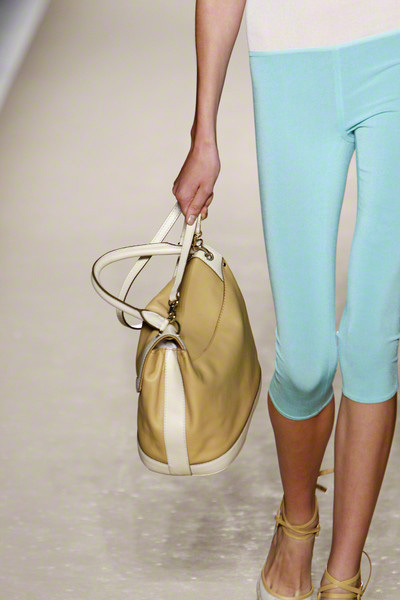 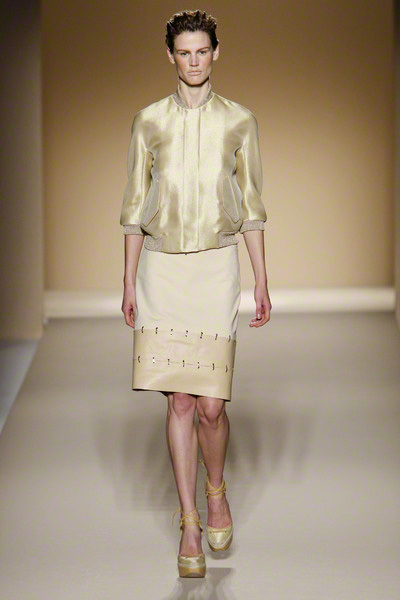 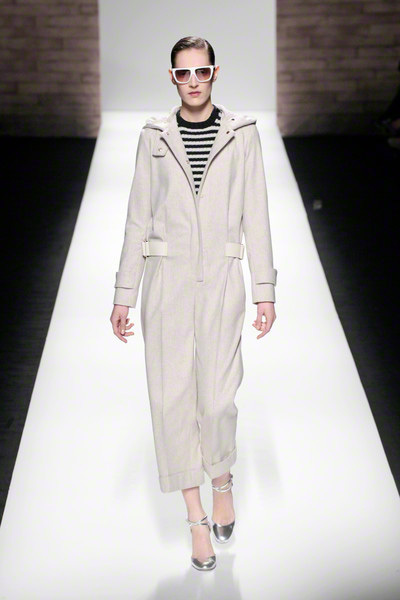 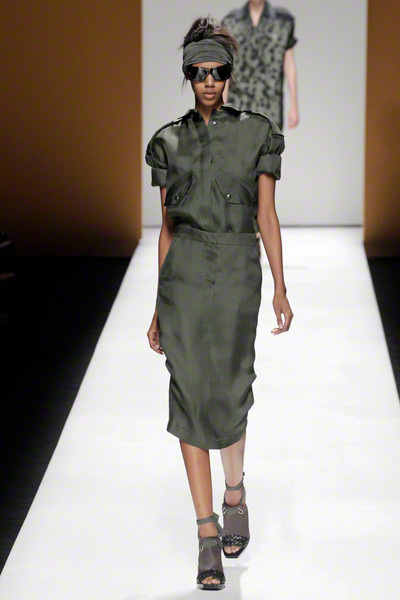 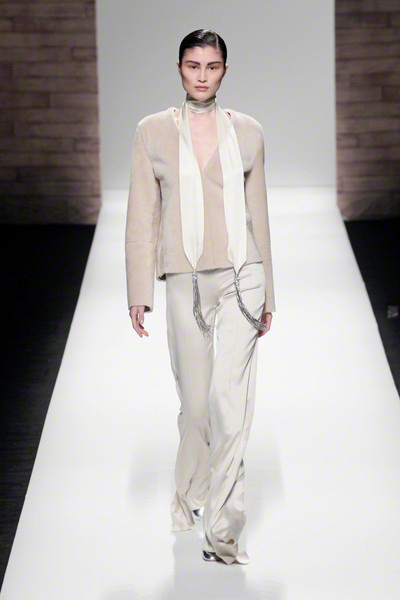 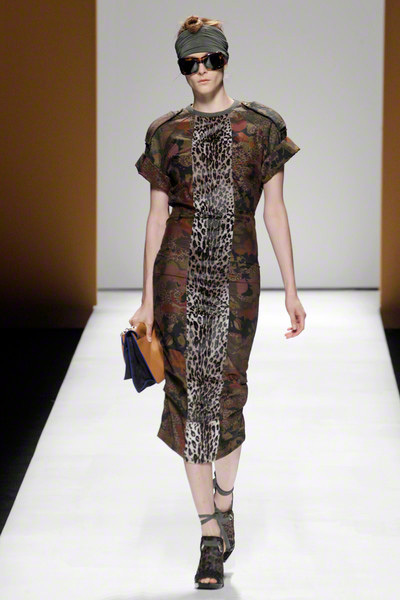 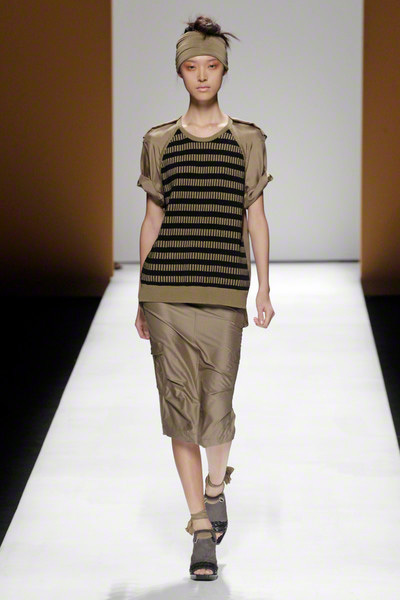 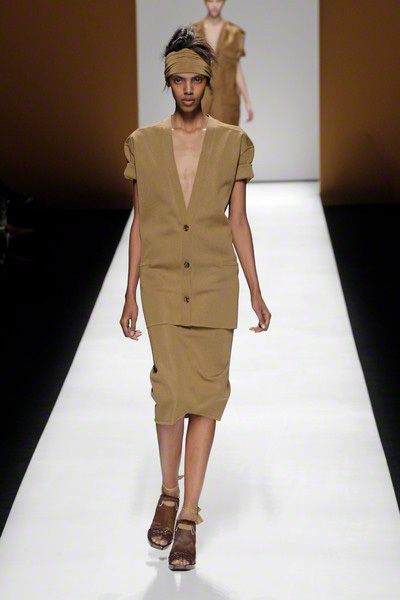 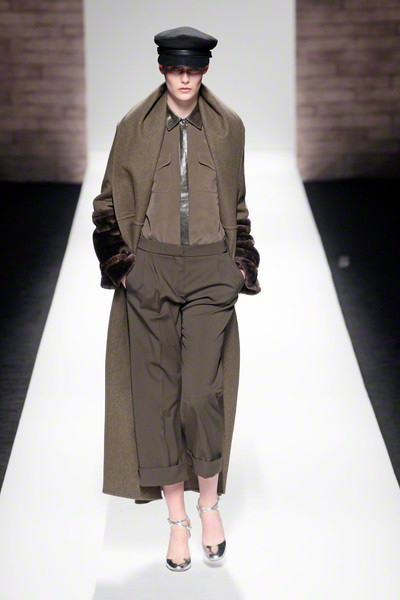 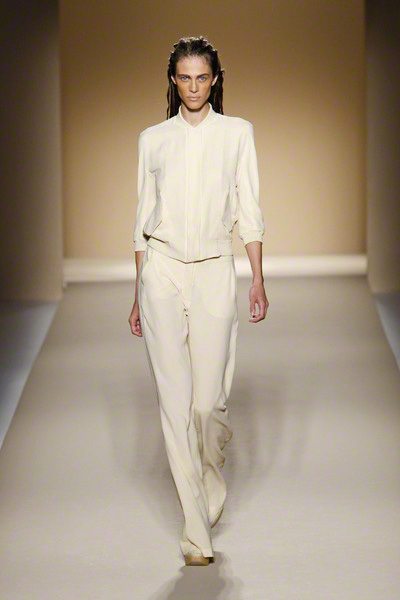 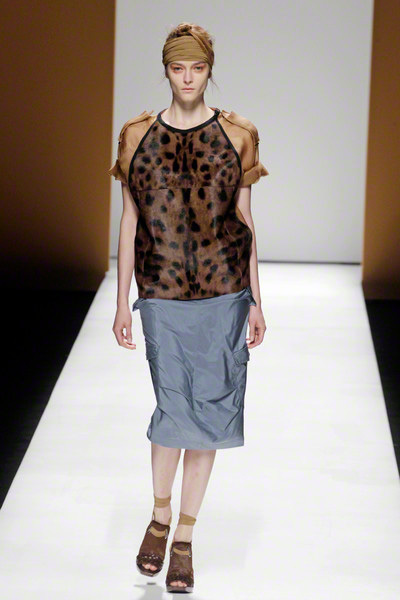 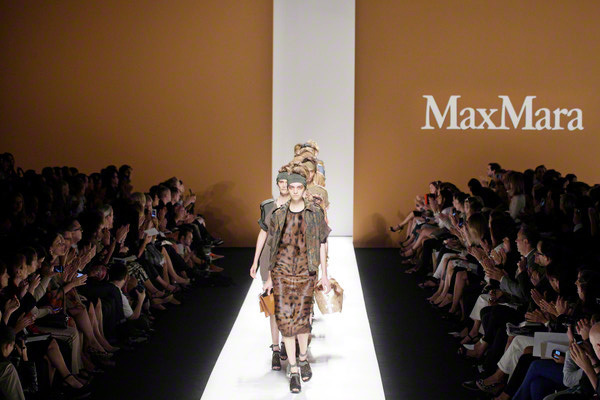 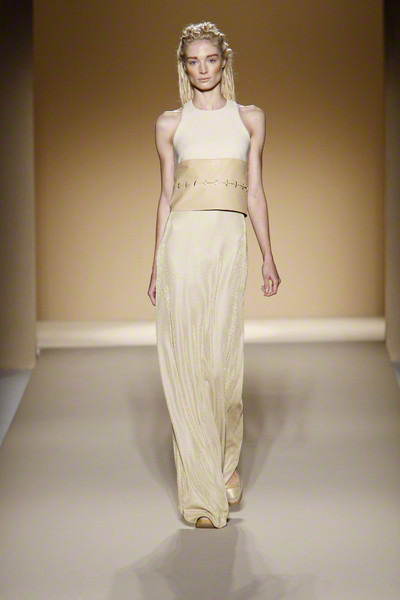 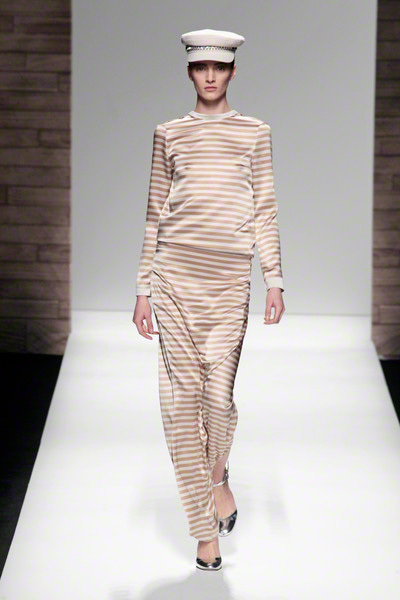 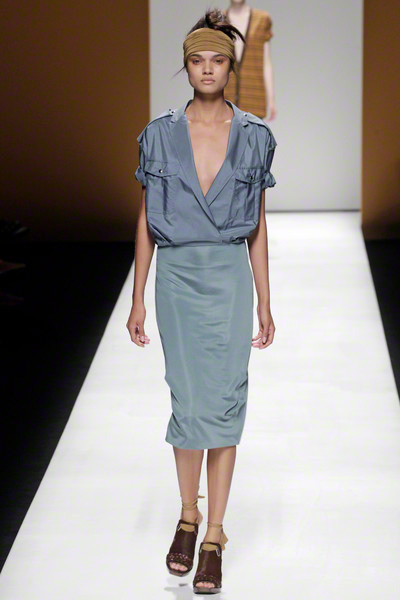 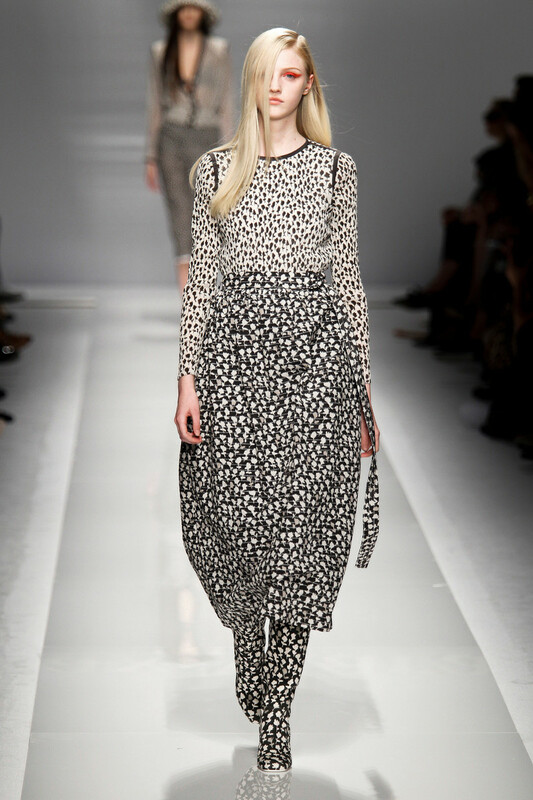 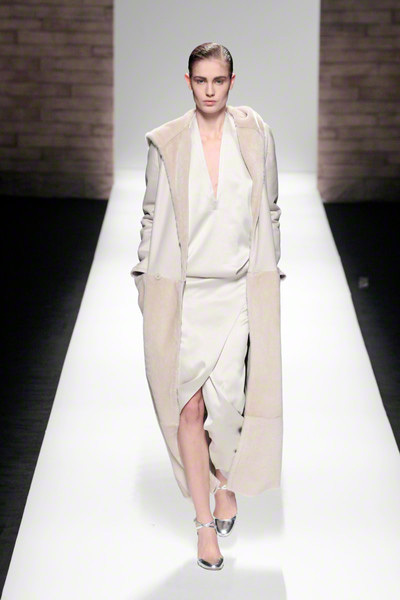 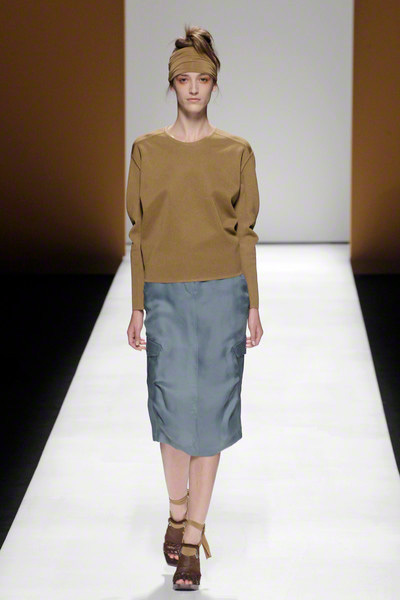 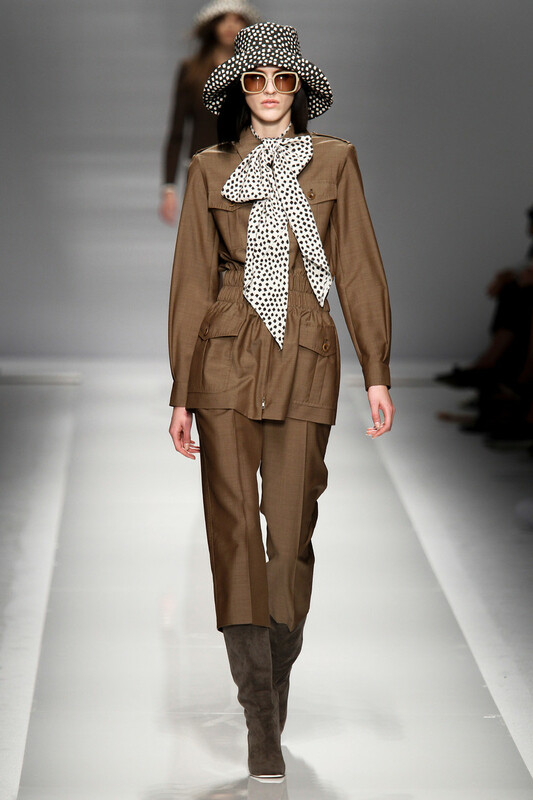 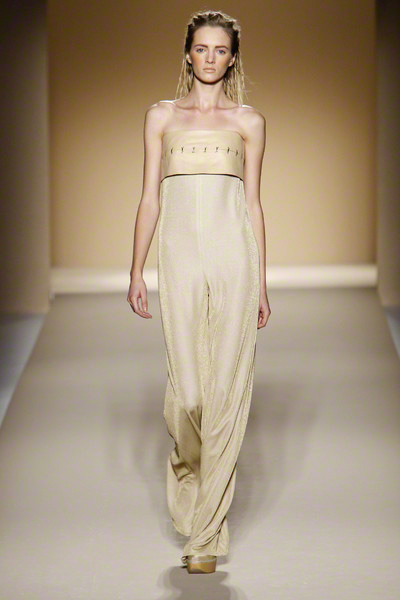 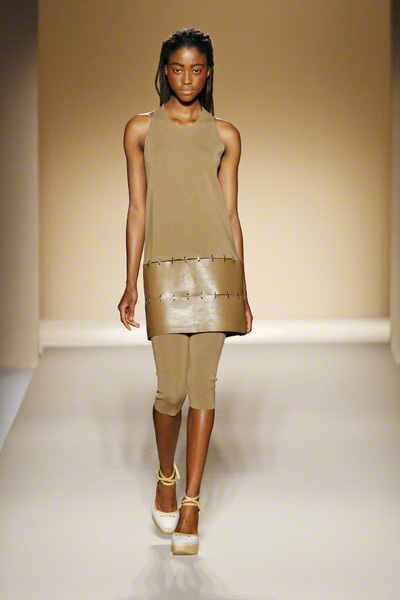 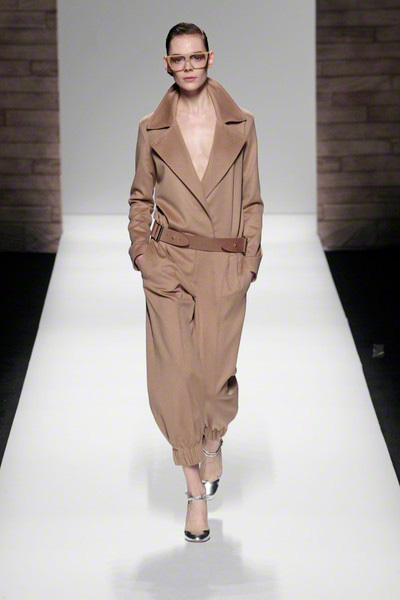 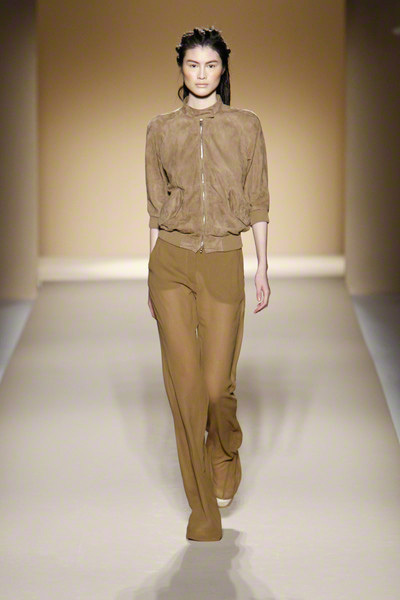 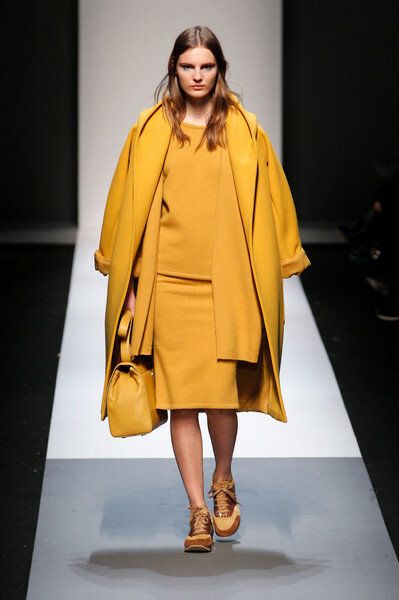 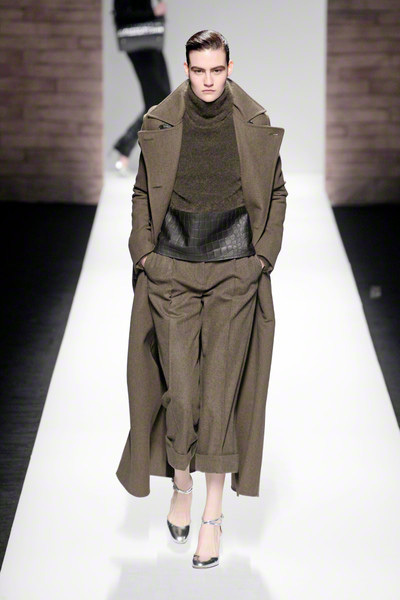 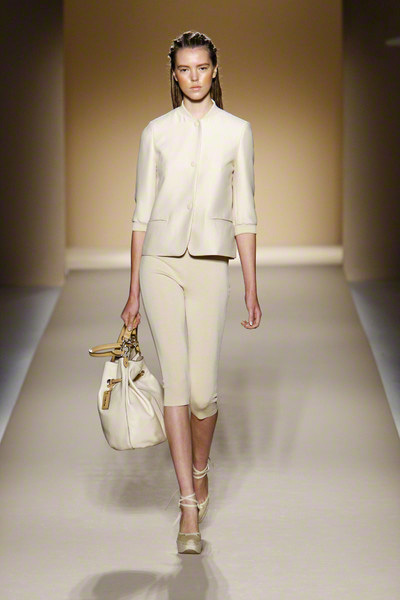 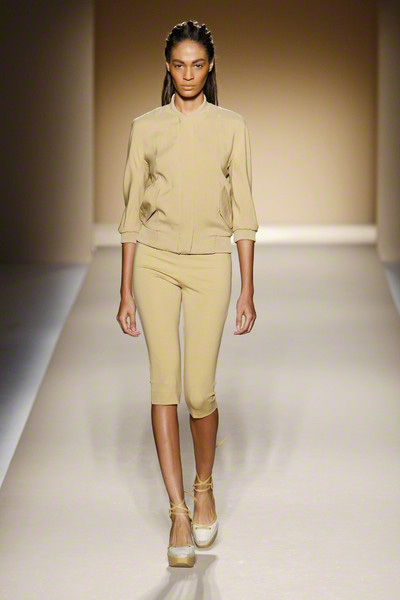 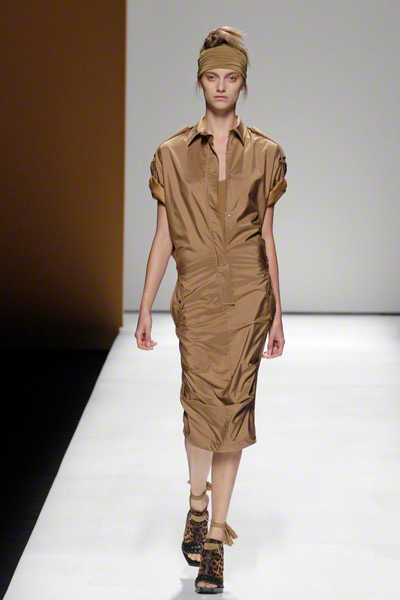 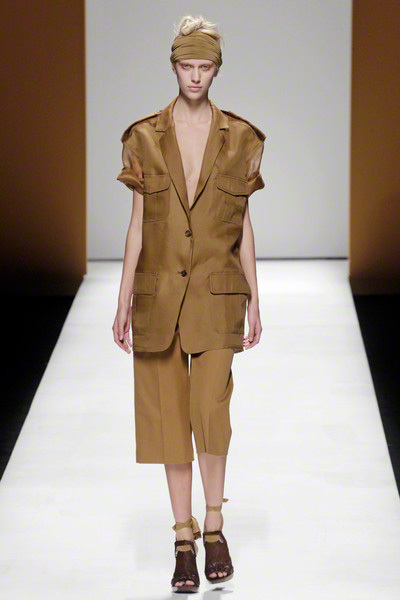 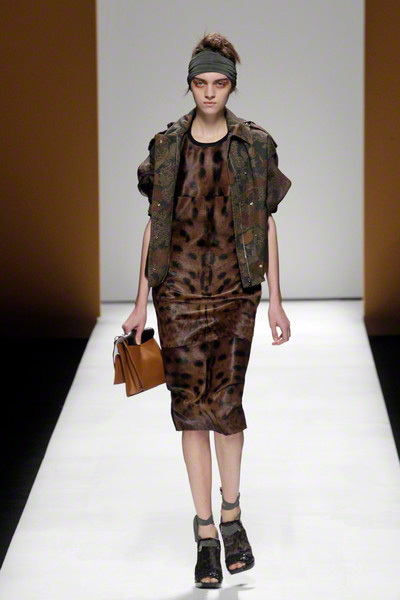 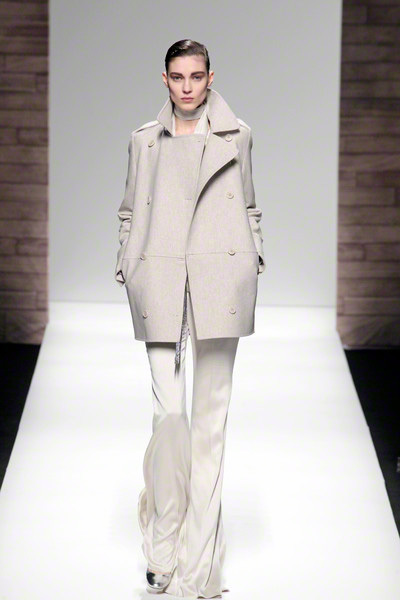 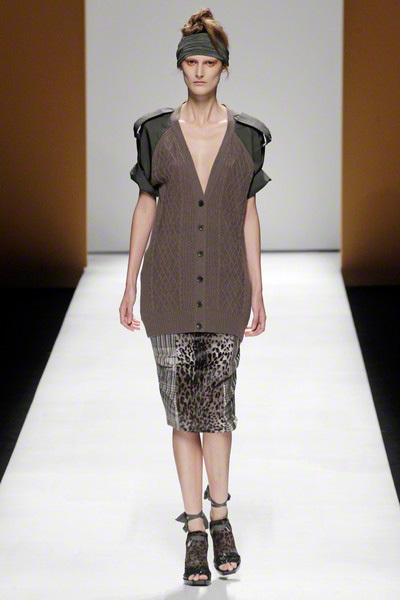 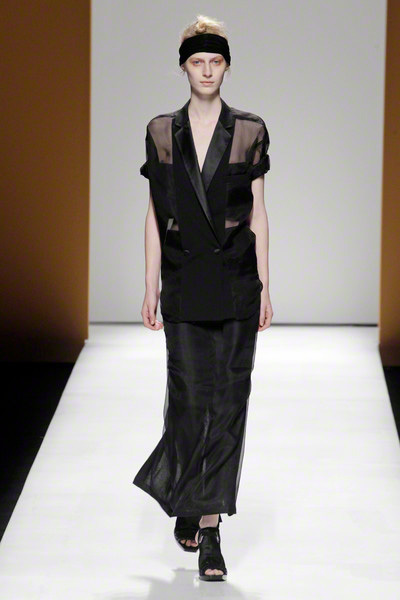 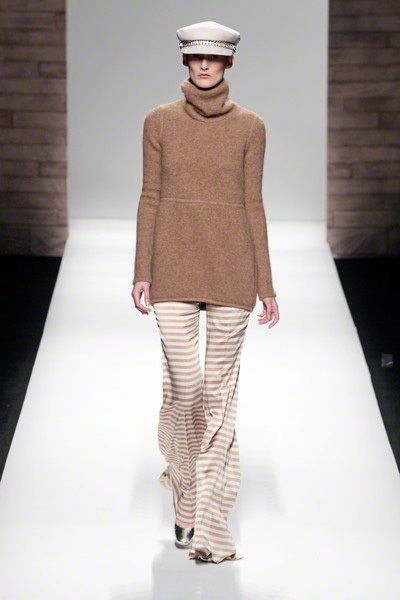 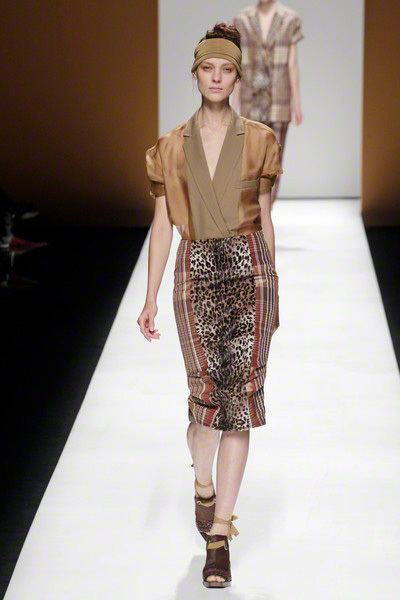 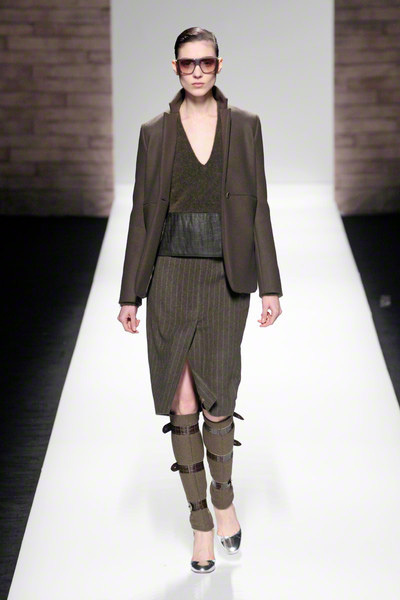 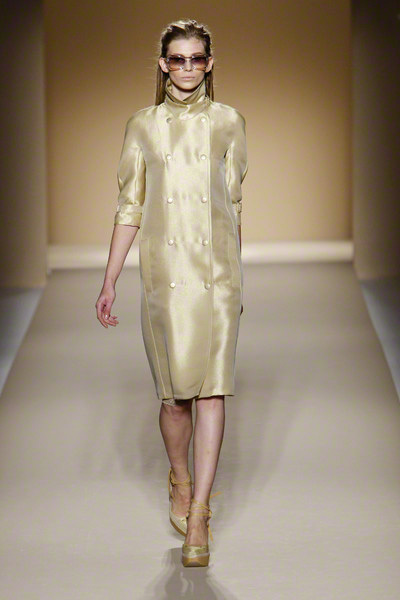 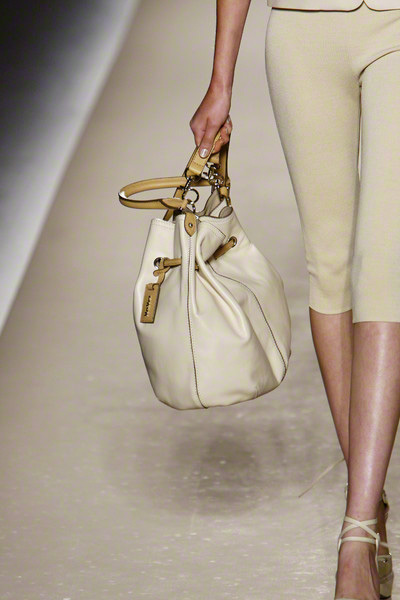 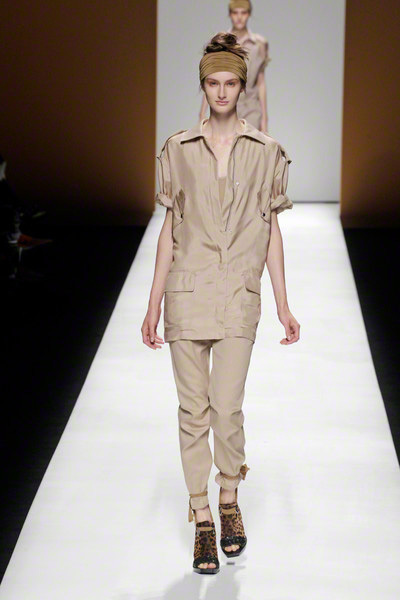 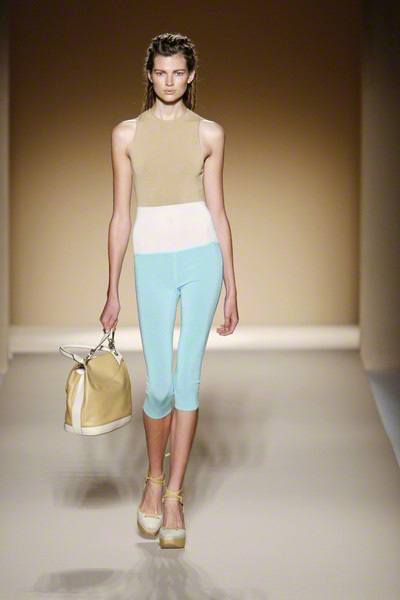 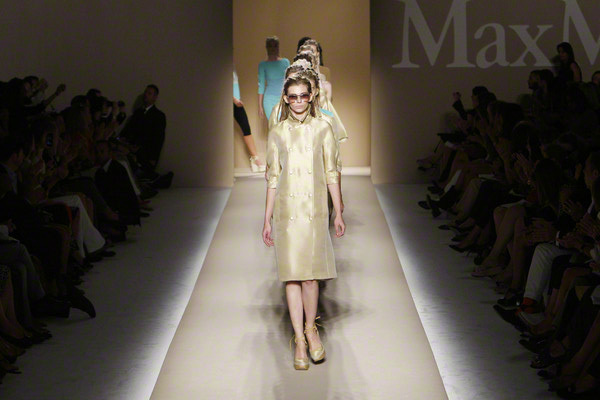 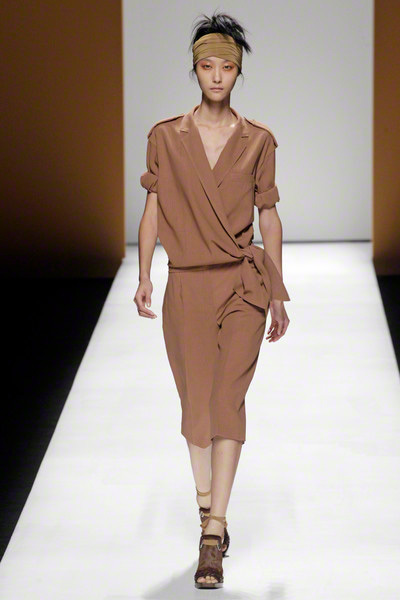 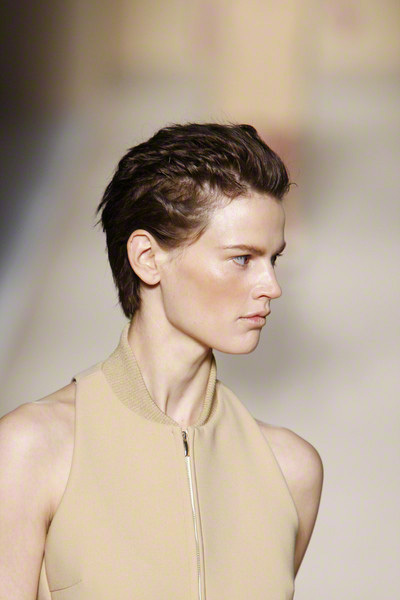 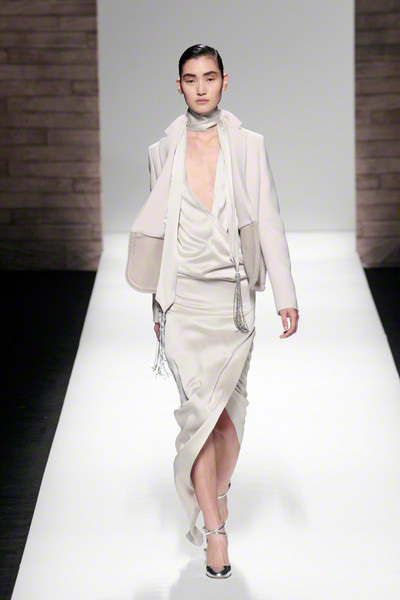 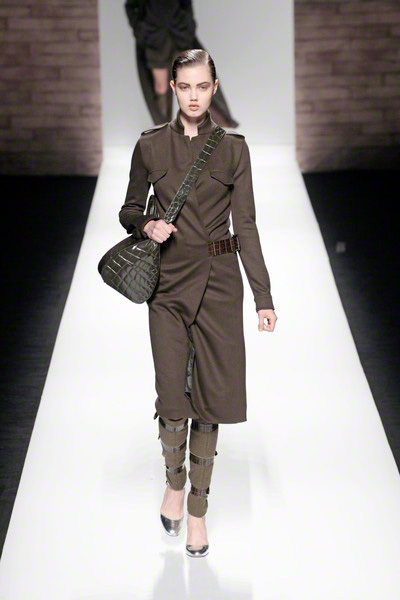 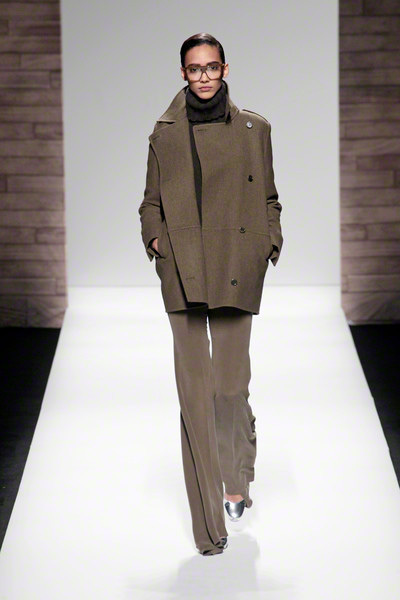 Beige, sand, black; for SS2013 Max Mara stuck to the basic color palette, we’ve been seeing for quite a few seasons now. 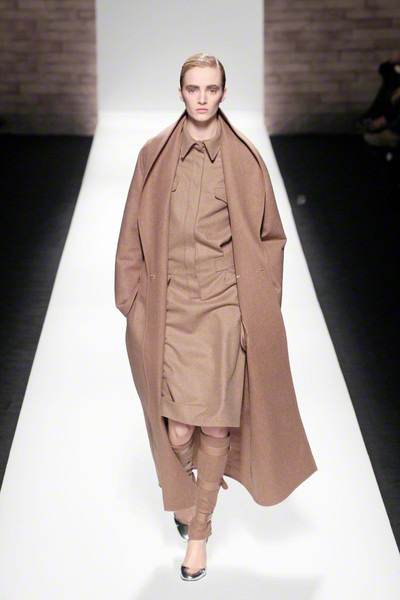 And we couldn’t blame the brand that has booked quite a few successes (remember the popular camel colored statement coats?). 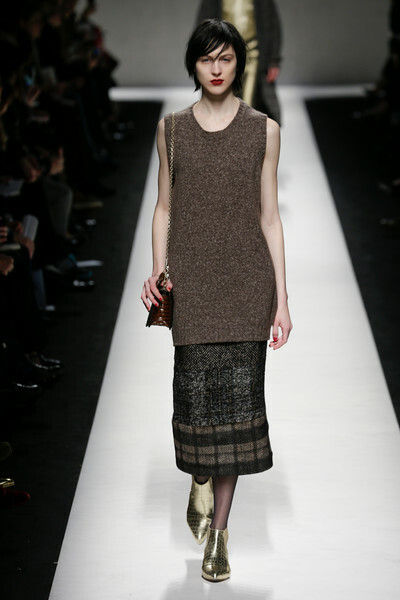 This time around there was a lot more at sight though. 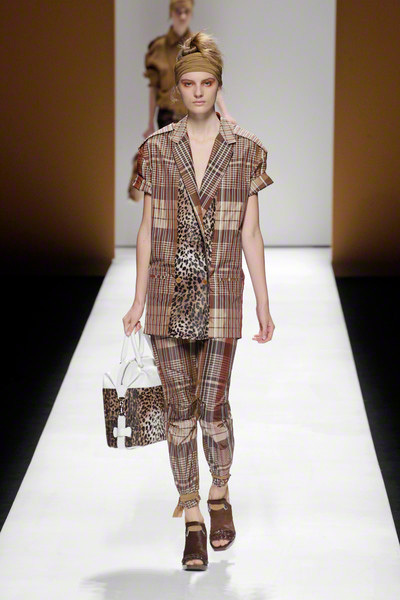 Neutral shades were mixed with leopard and floral prints, checks and a touch of shiny lavender blue. 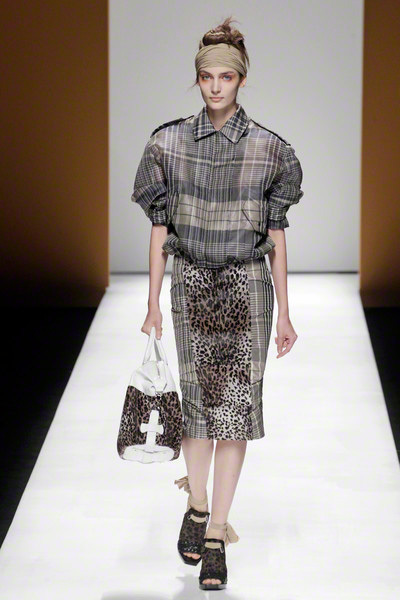 The models’ dress code appeared to be a mix of sporty, safari and chic as the girls combined animal printed pencil skirts and loose fitting striped tees. 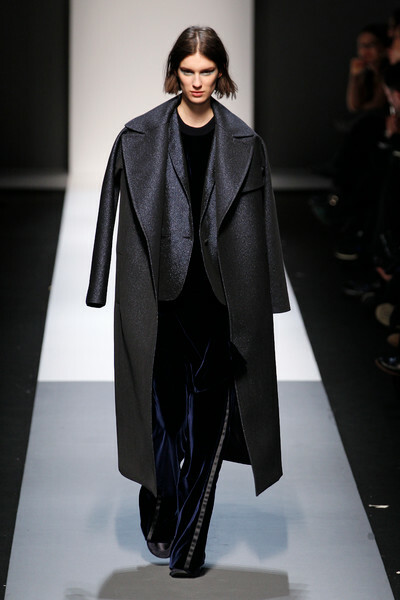 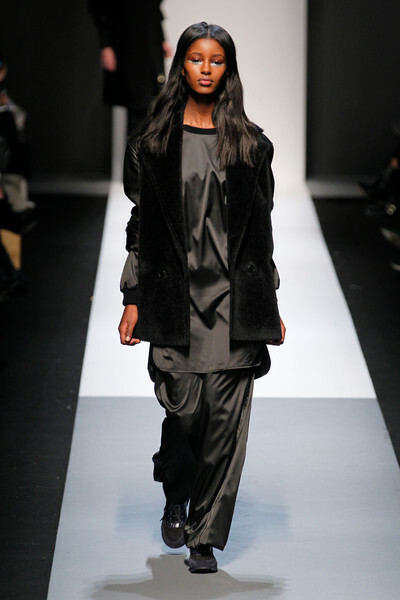 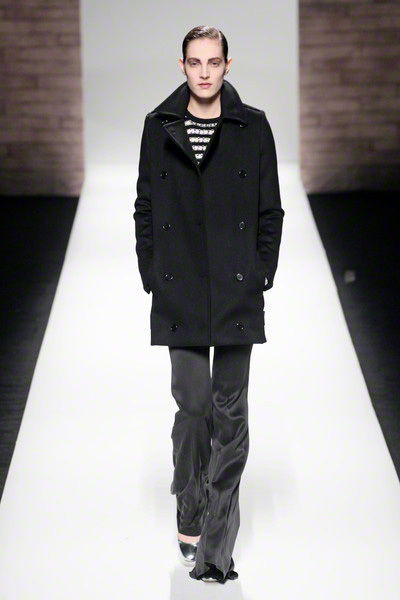 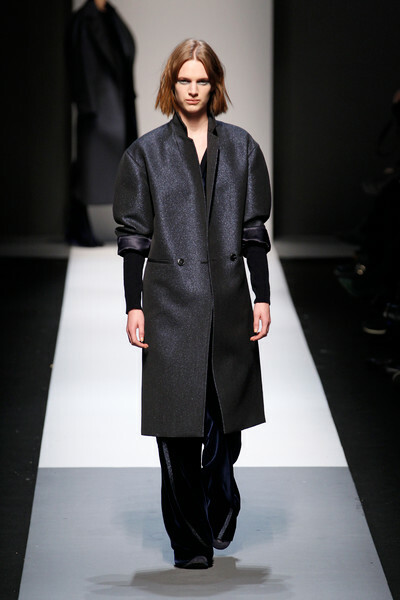 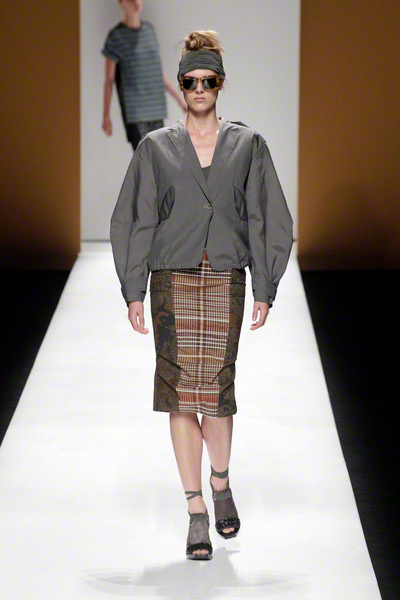 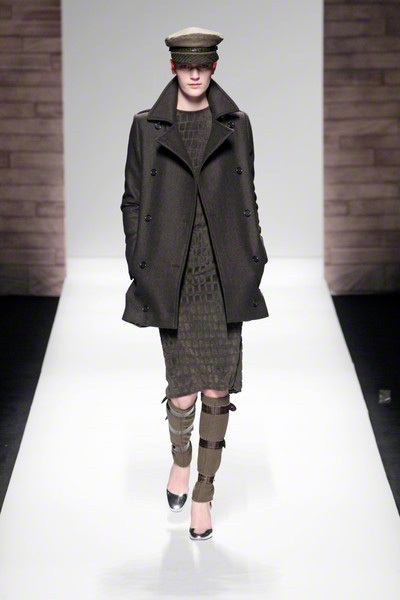 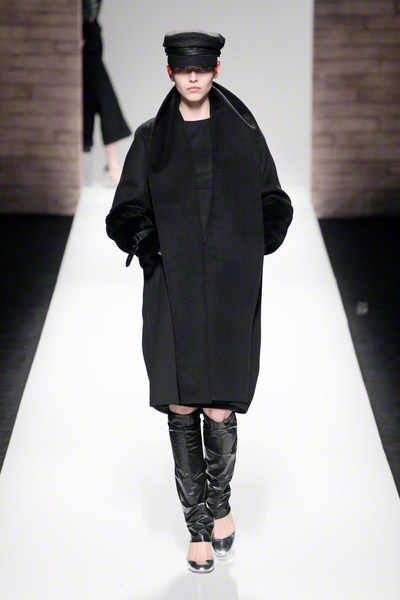 Jackets looked chic and tough at the same time and materials like suede, wool and silk worked together perfectly. 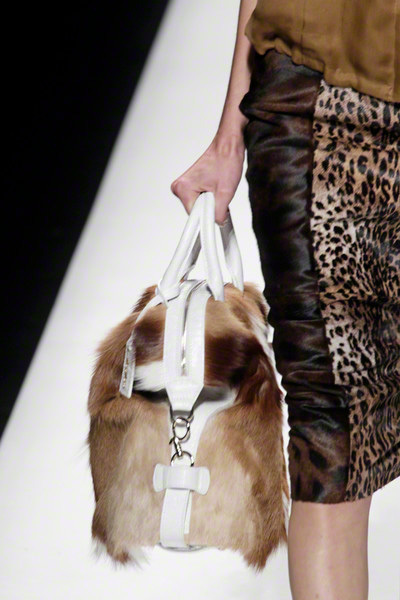 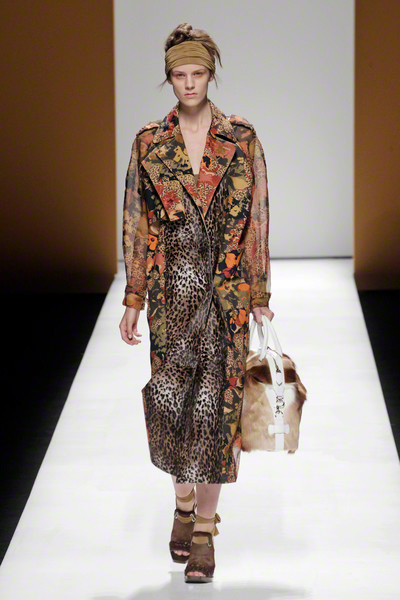 Jumpsuits, oversized bags, sloughy headbands, epaulettes and ankle strap shoes completed Max Mara’s urban jungle… We sure can’t wait to work those leopard & checks prints! 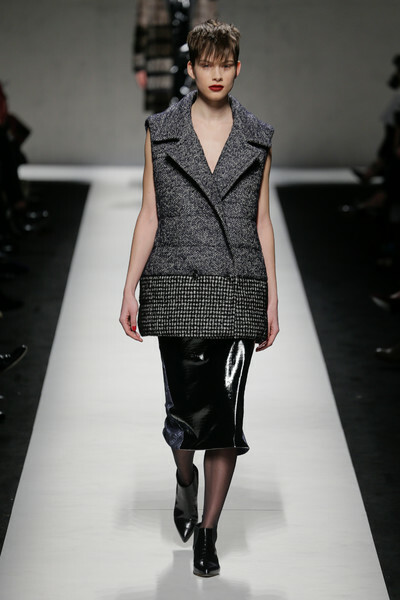 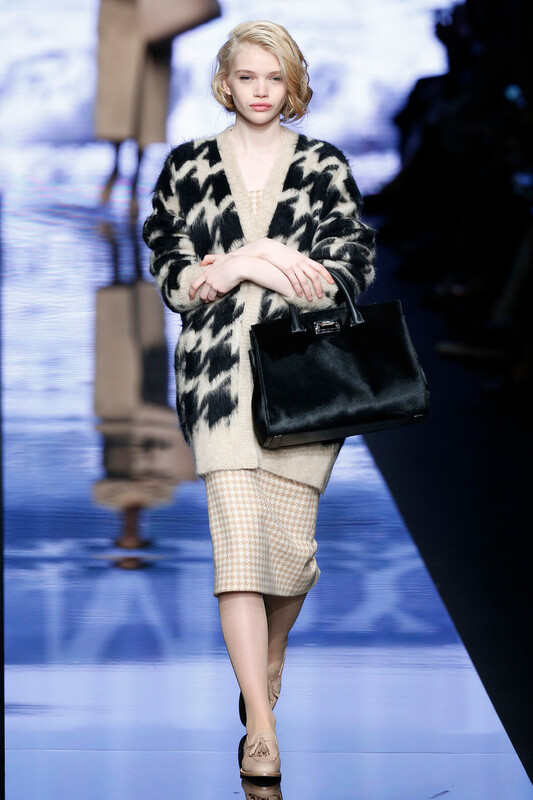 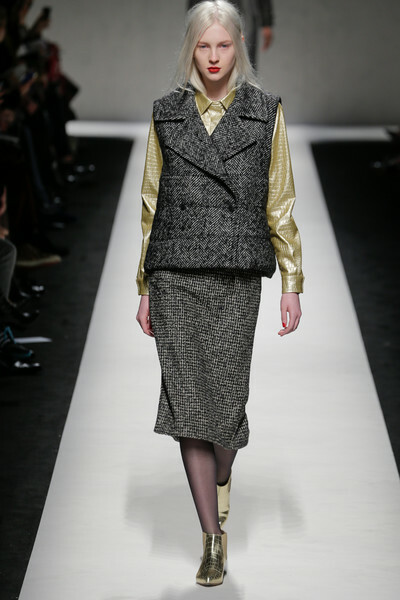 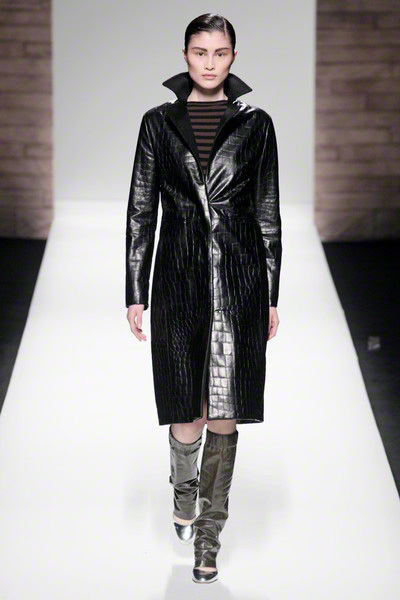 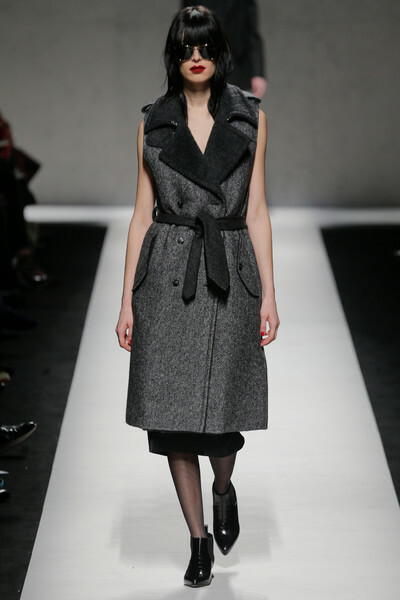 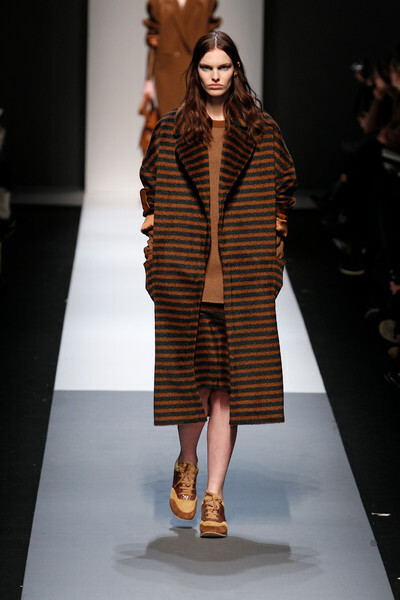 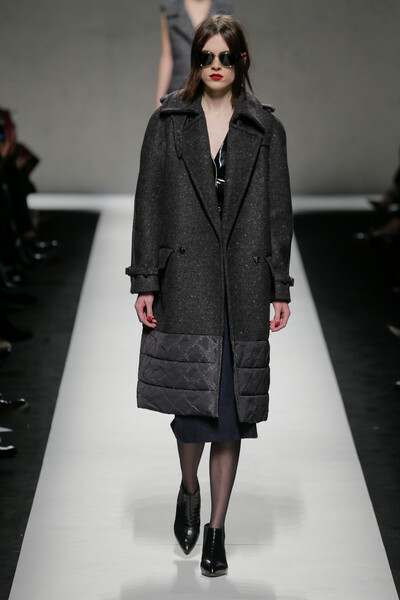 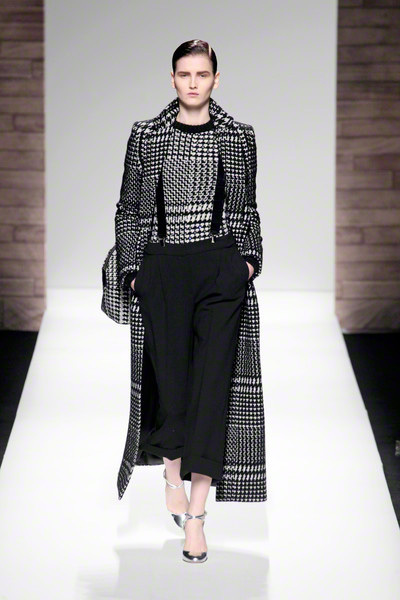 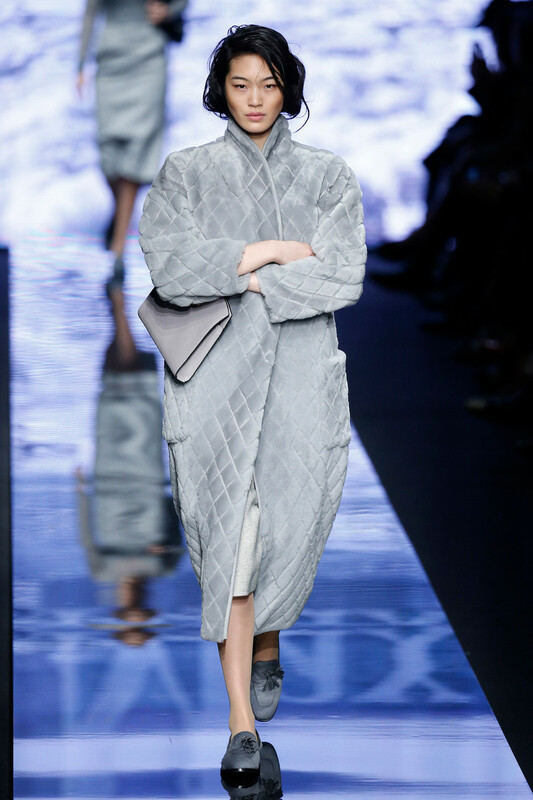 Bauhaus architecture and the movies of Fritz Lang were inspirations for MaxMara’s clean shapes accentuated by a single sharp detail or contrast, like a wool coat with a skirt of shaven fur or wool jersey tops banded in crocodile-print leather. 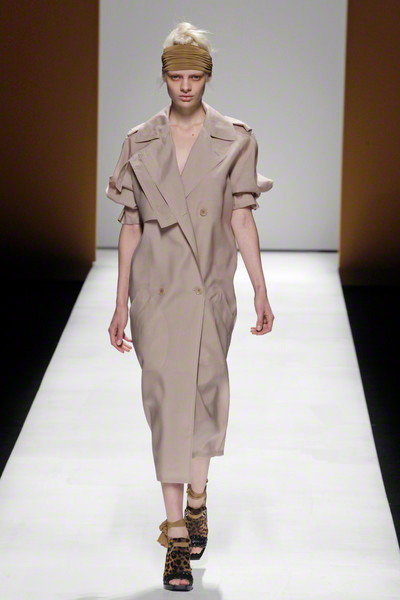 There were also wool dresses and jackets with draped backs that reminded of a classic couture shape, and a revival of the jumpsuit, now looking like a short wool jacket with slim trousers. 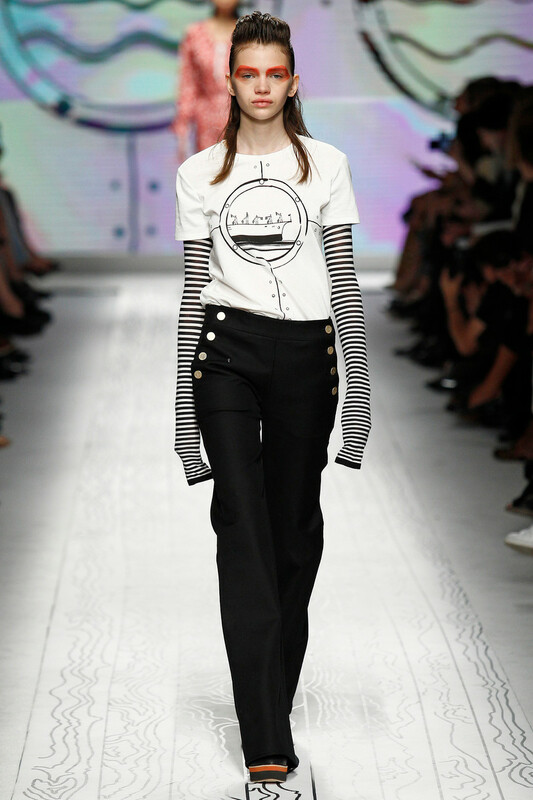 Sometimes it had a naval character with the navy blue coats, breton-striped shirts and wide pants. 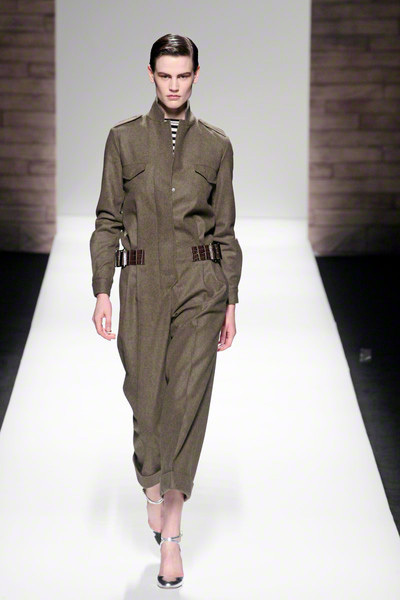 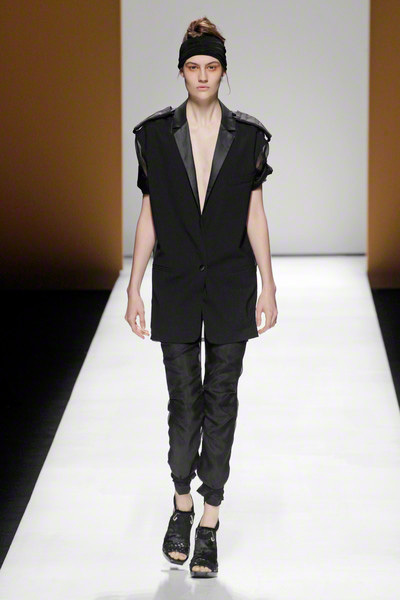 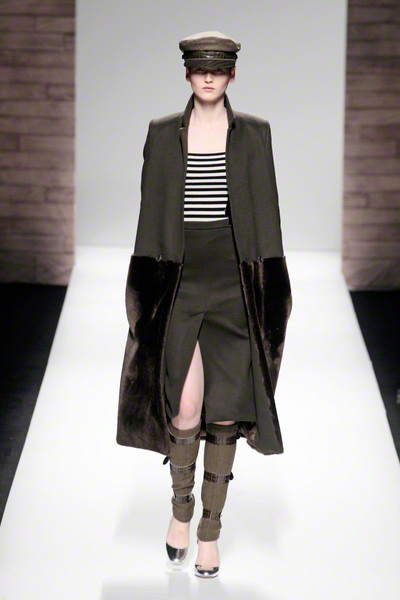 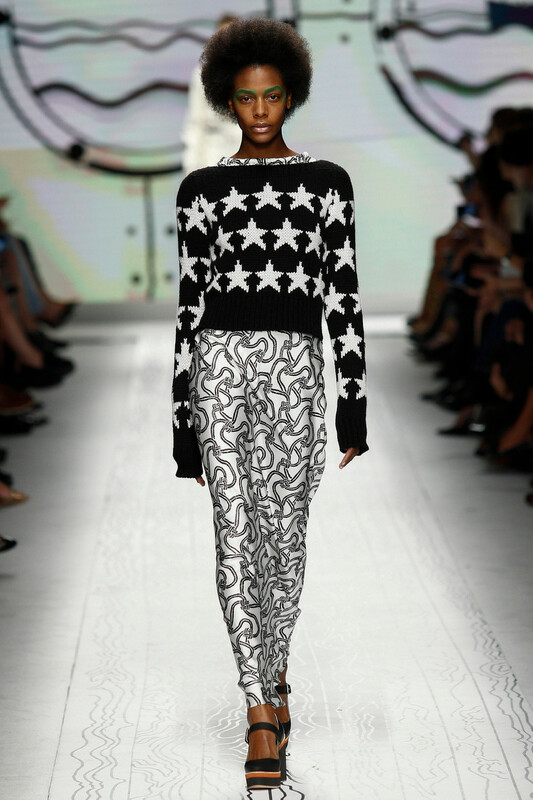 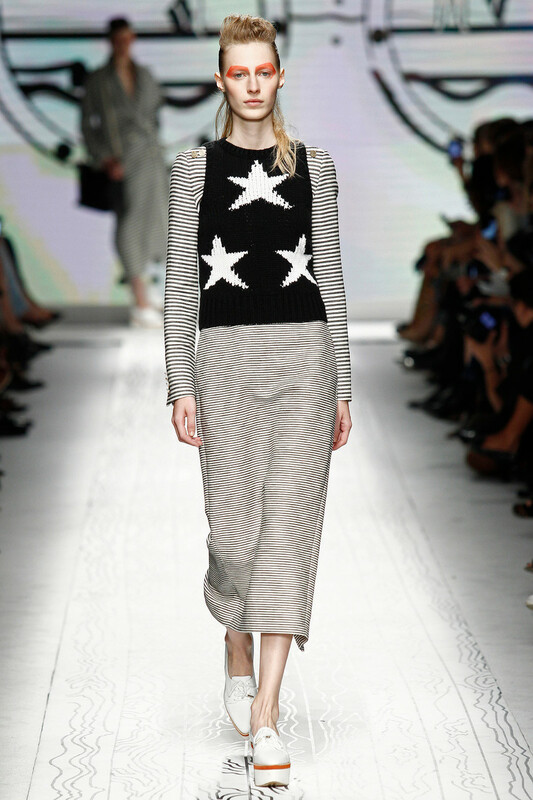 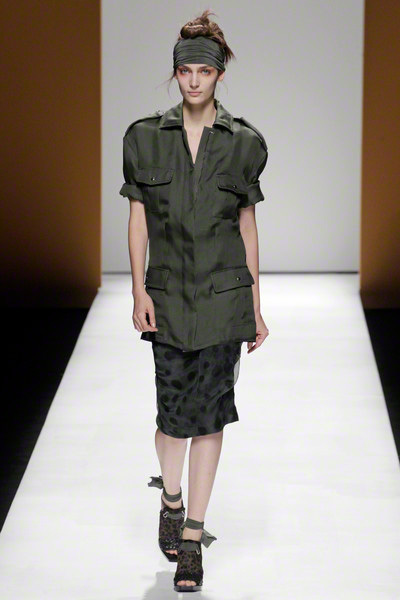 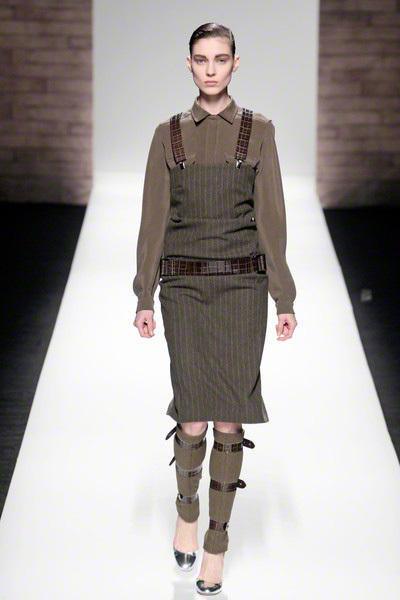 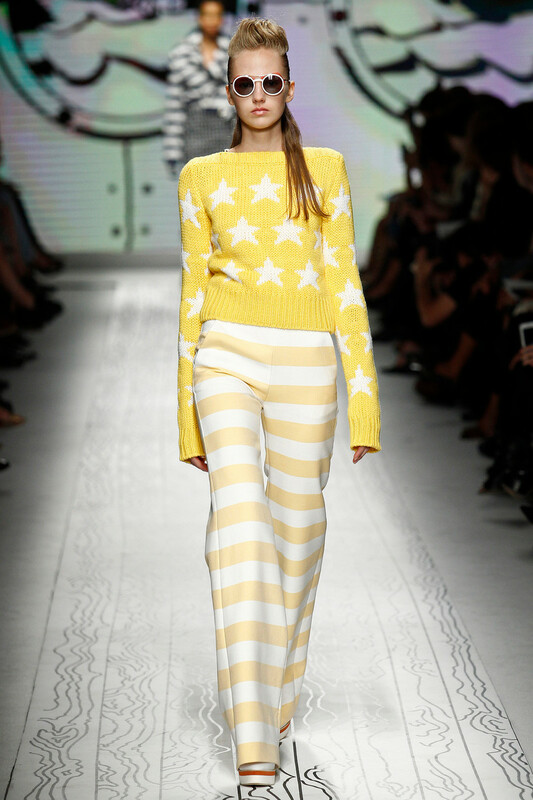 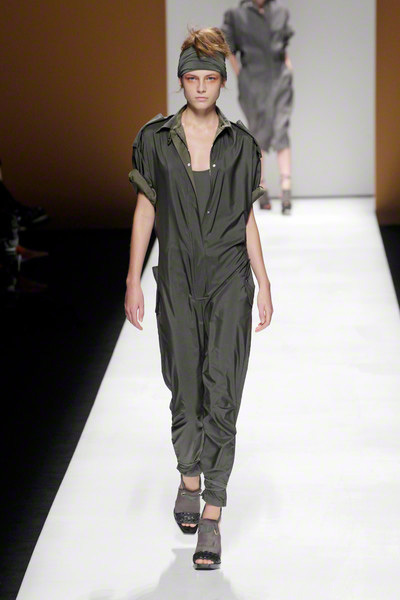 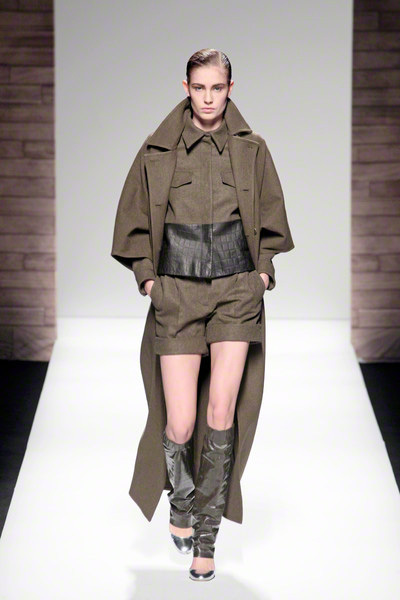 And not only the navy went through the collection, also trher military influences.